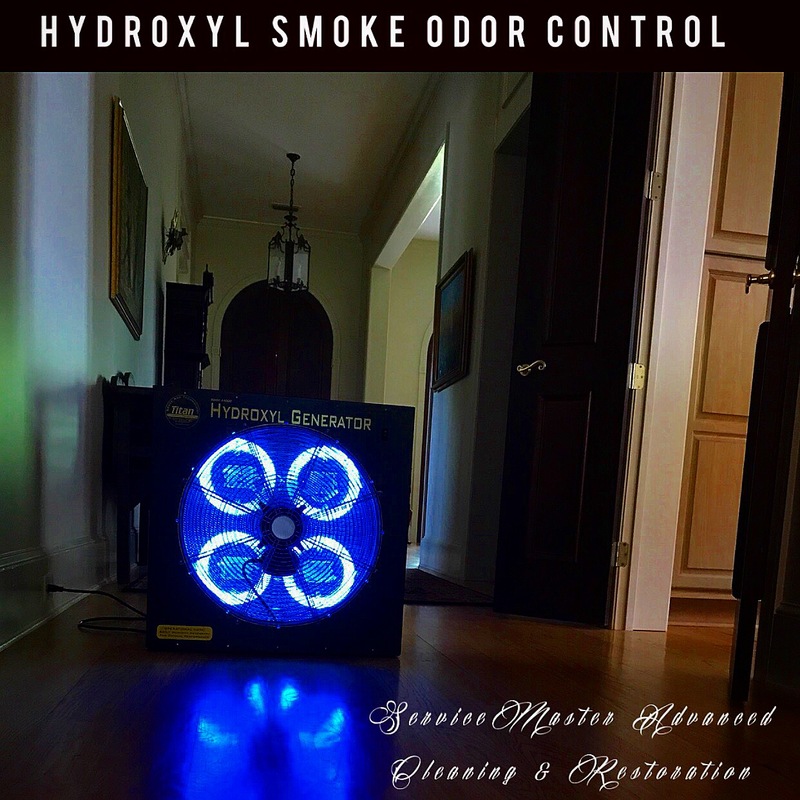 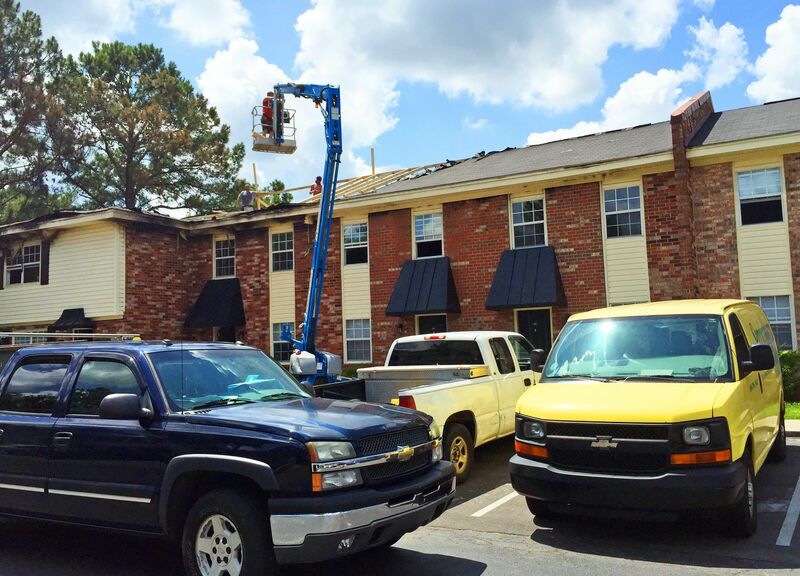 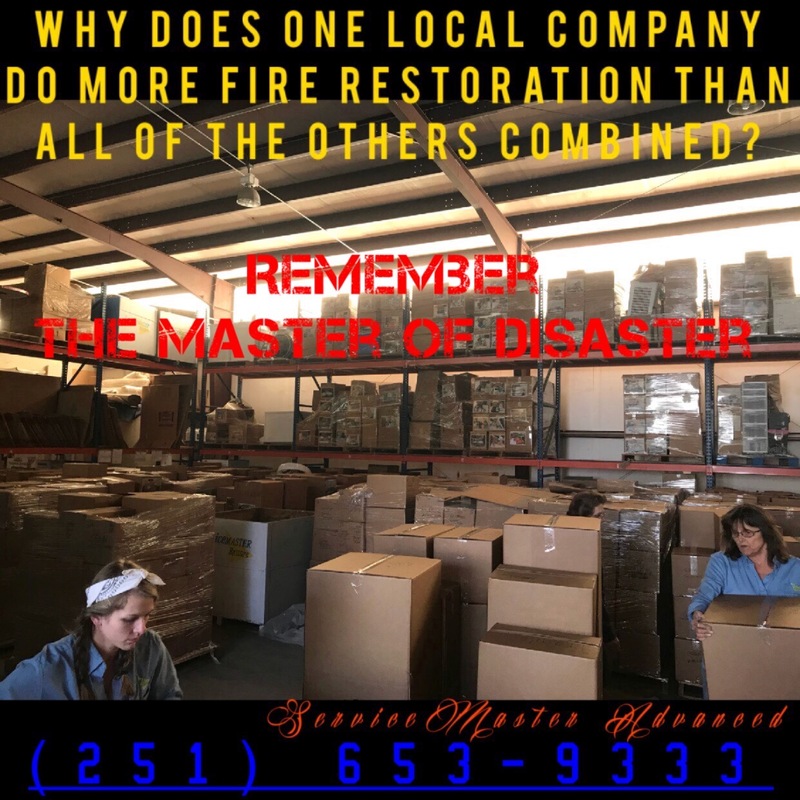 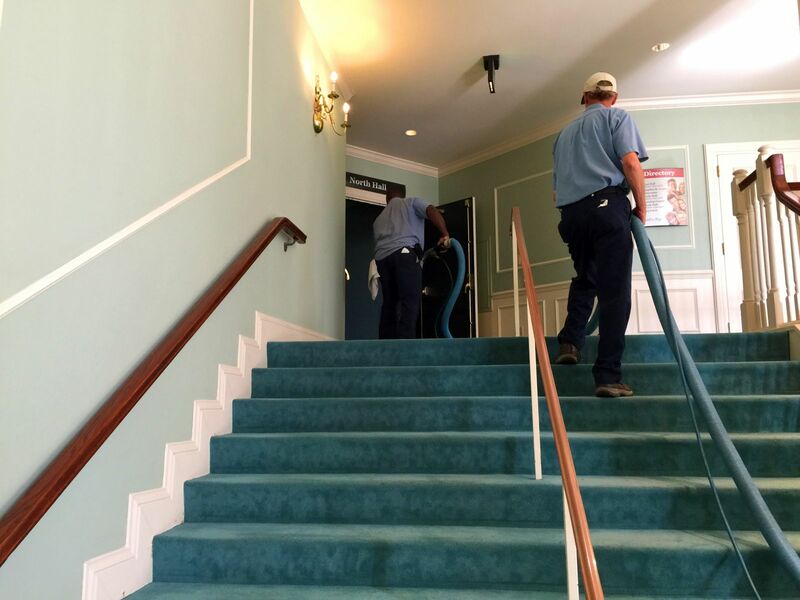 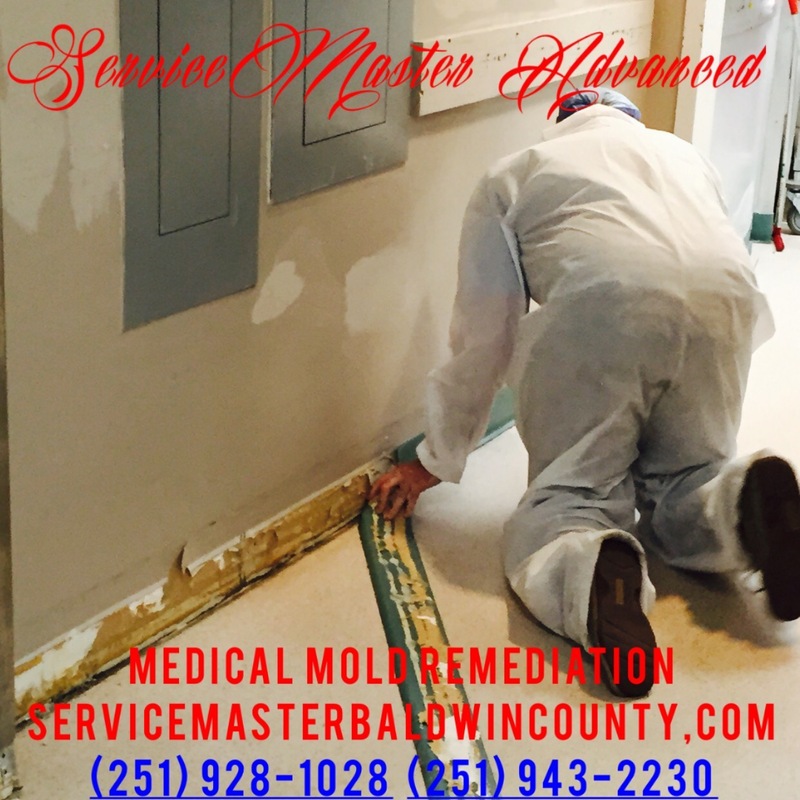 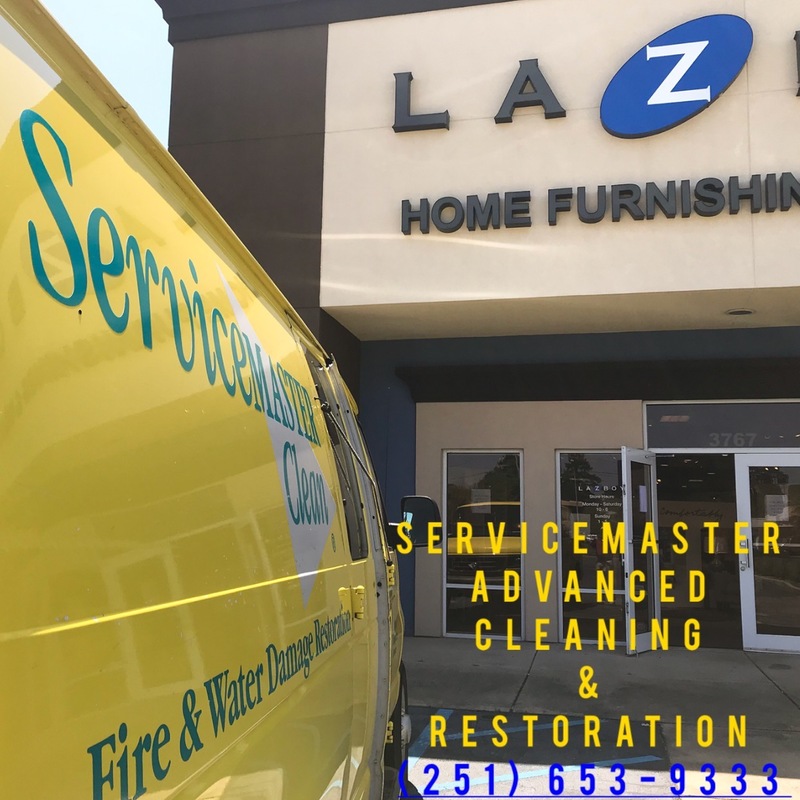 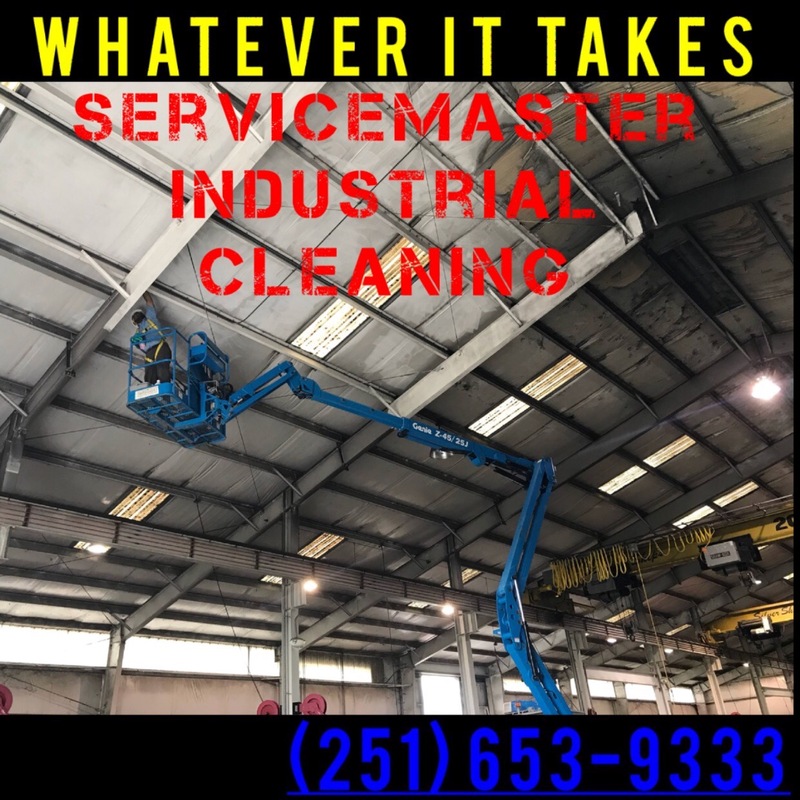 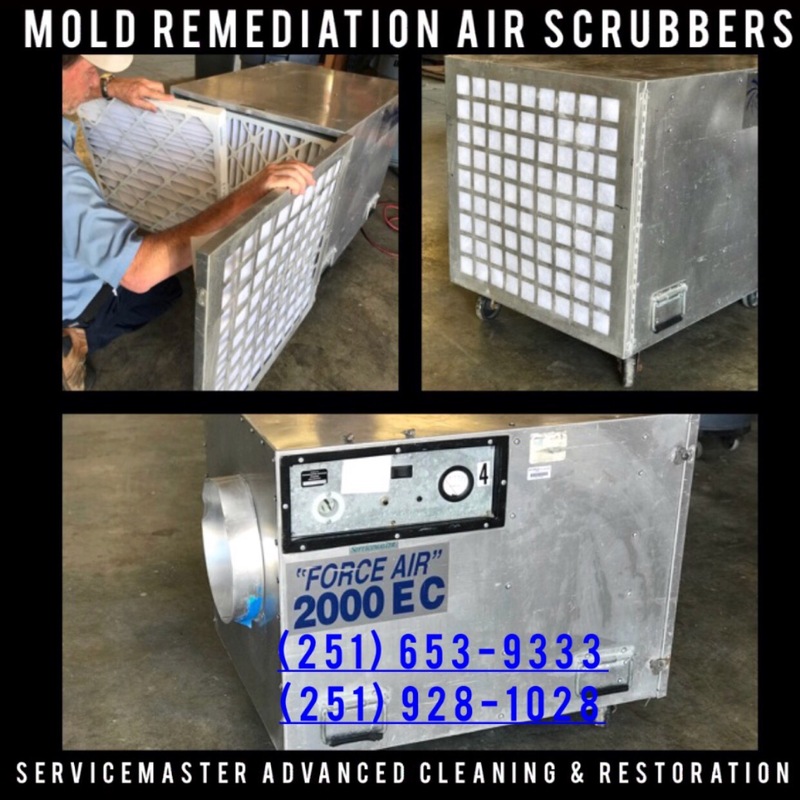 No one does more commercial fire restoration, water damage restoration, and mold remediation along the Gulf Coast than ServiceMaster Advanced Cleaning & Restoration (251) 653-9333, (251) 928-1028 & (251) 943-2230. 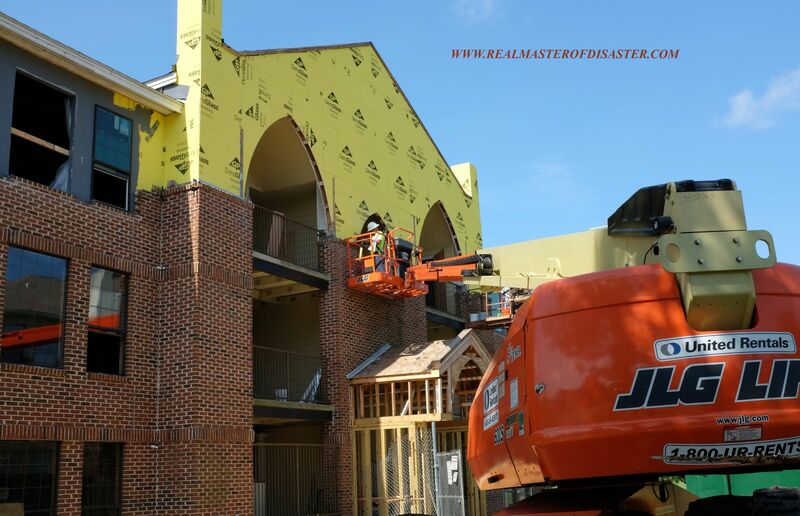 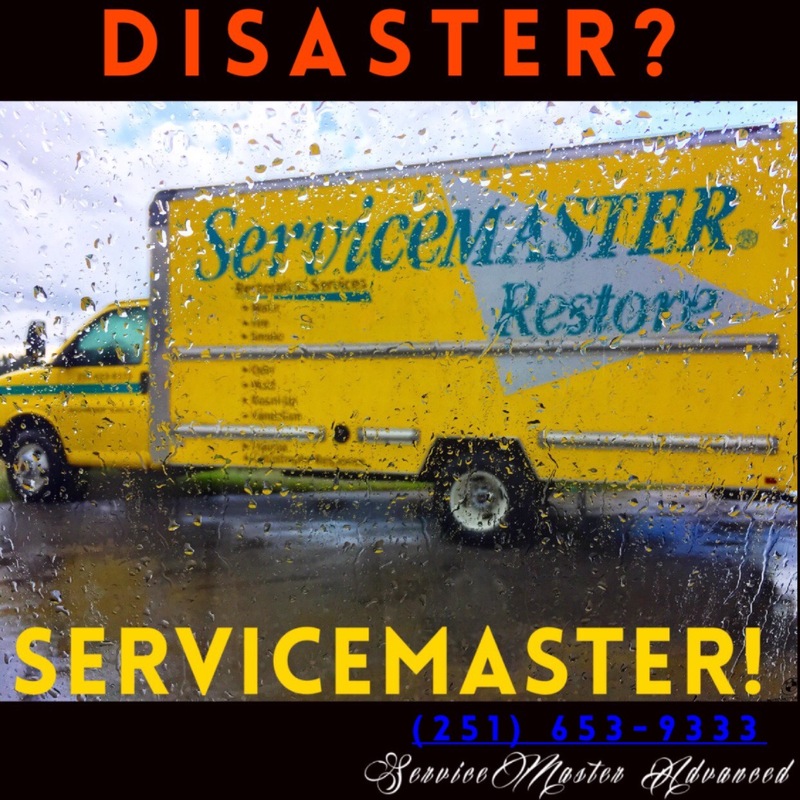 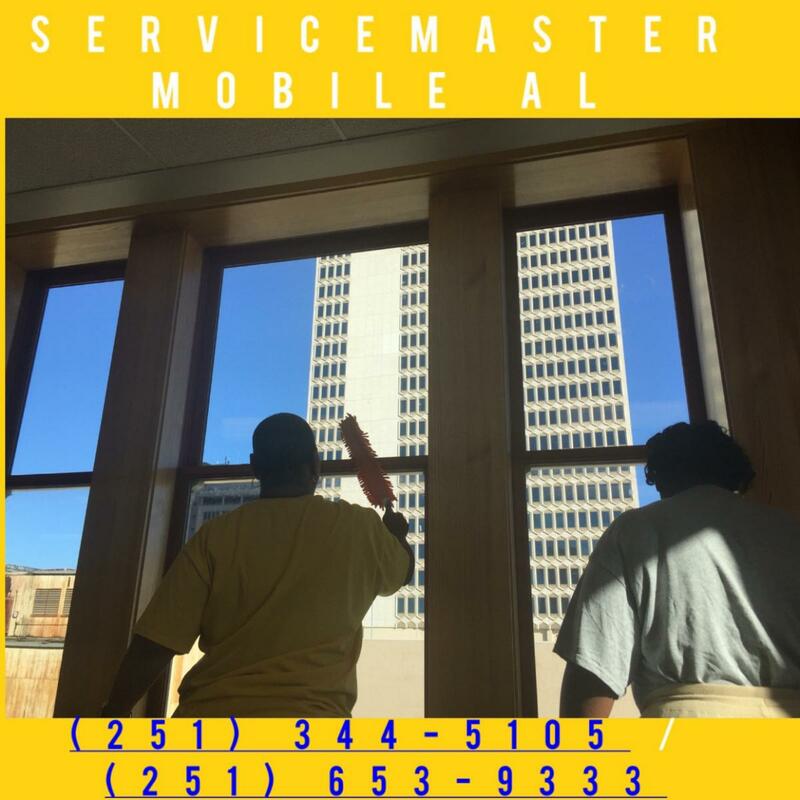 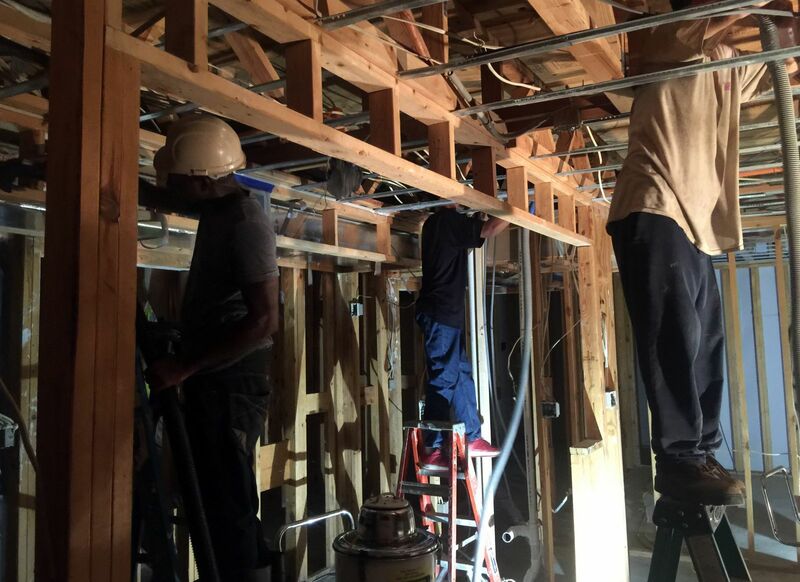 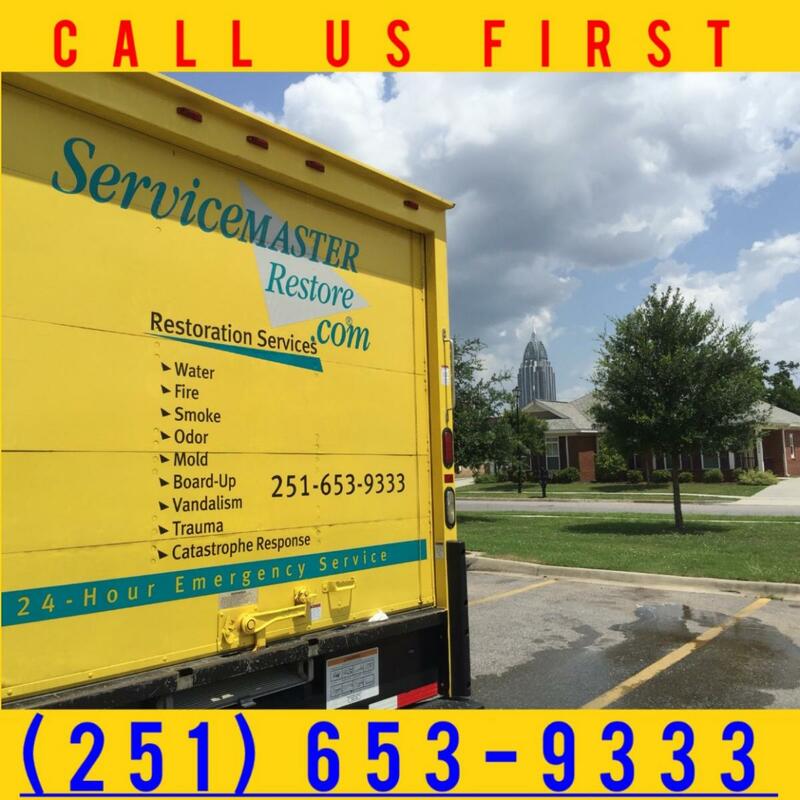 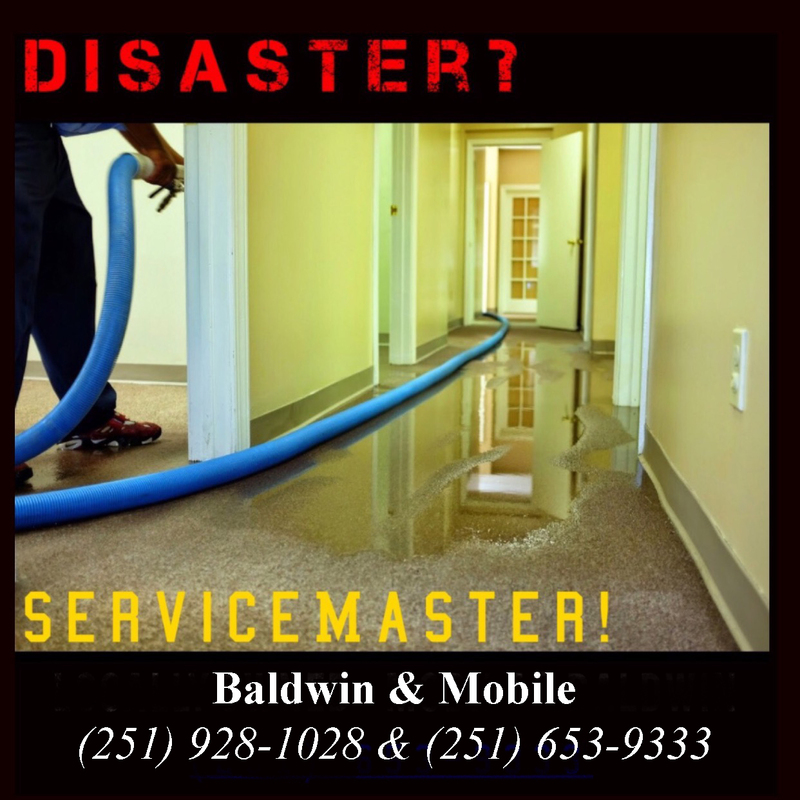 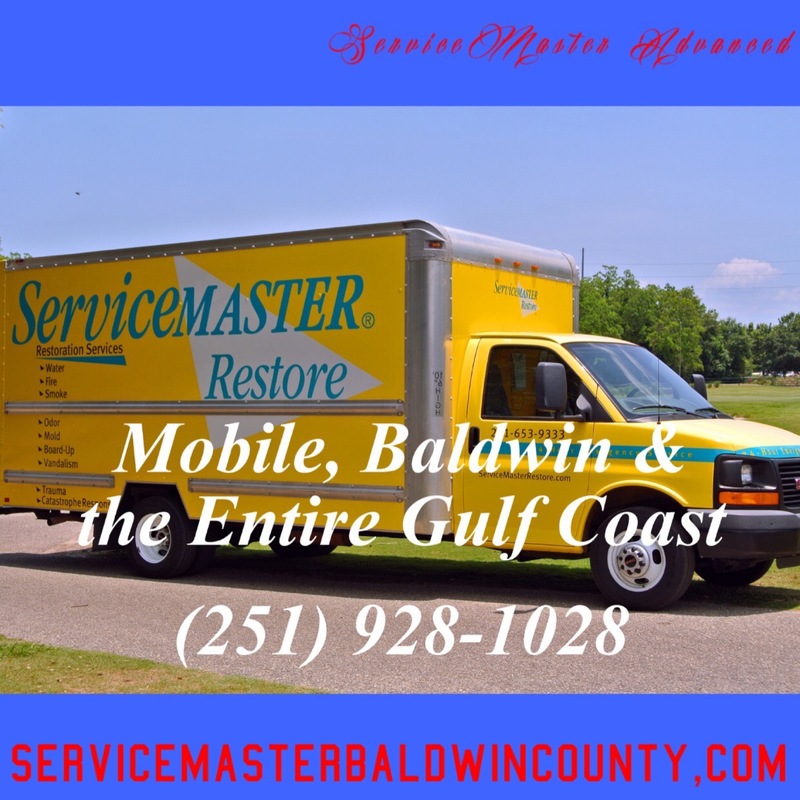 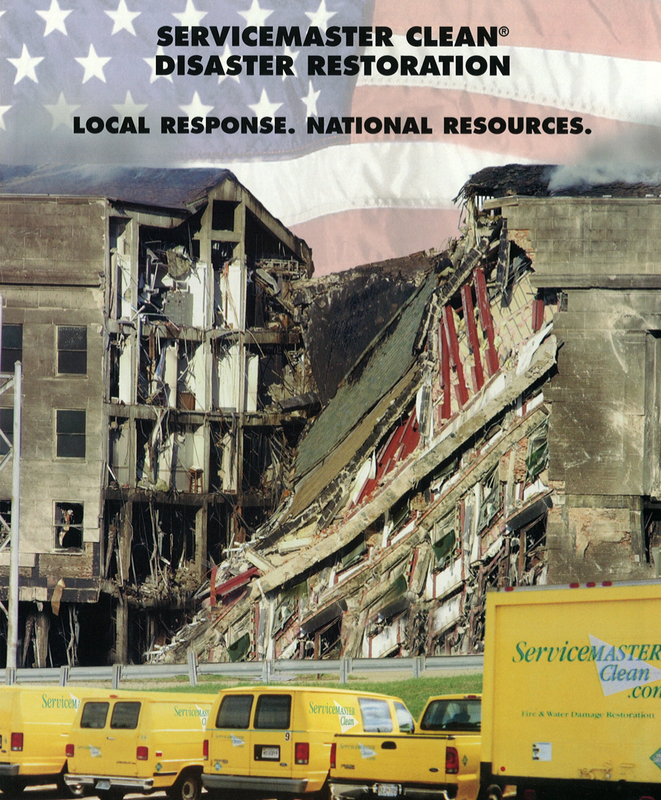 We are the original ServiceMaster Restore disaster restoration company operating in Mobile and Baldwin County in South Alabama, serving the area for over 30 years. 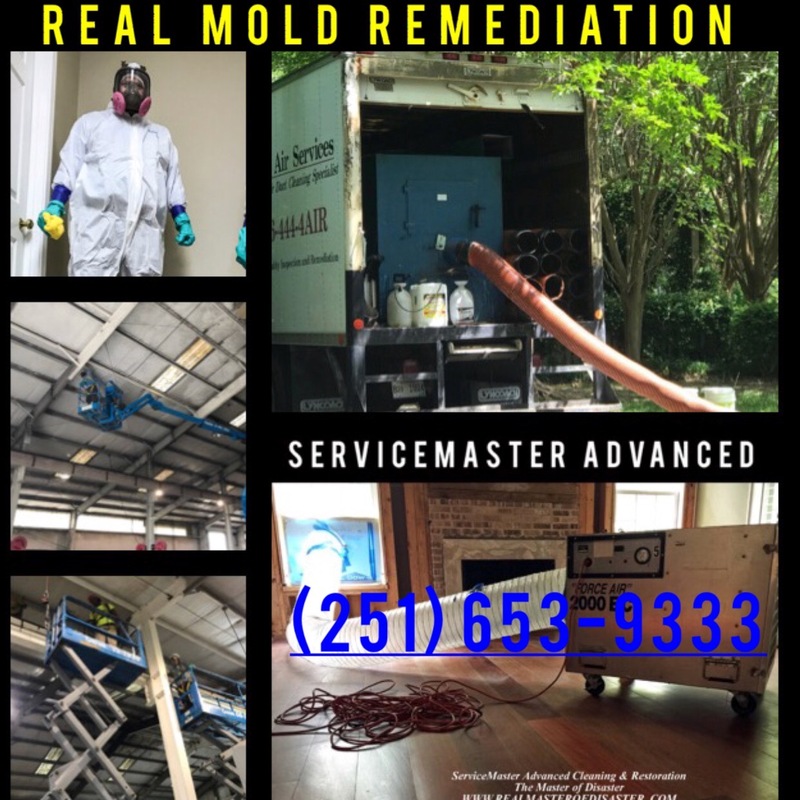 We have handled some of the largest fire damage, water damage and mold remediation cleanup jobs ever performed on the Gulf Coast and we would be honored to serve you. 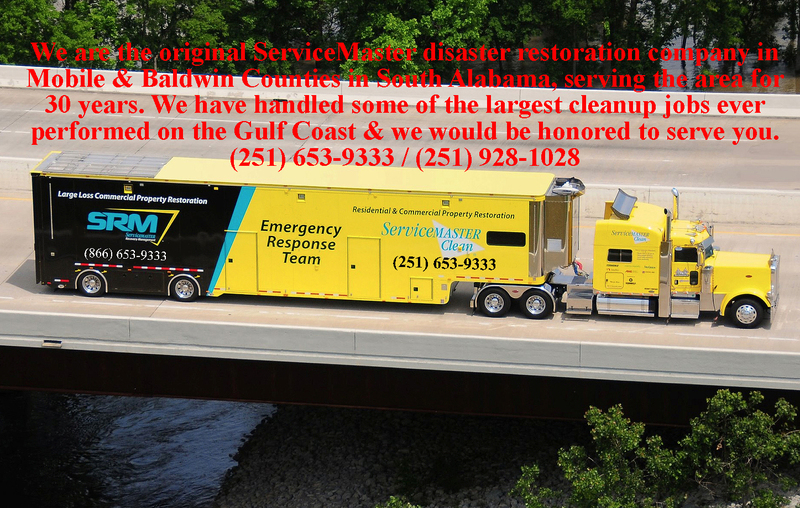 (251) 653-9333, (251) 928-1028, (251) 943-2230, and (866) 653-9333. 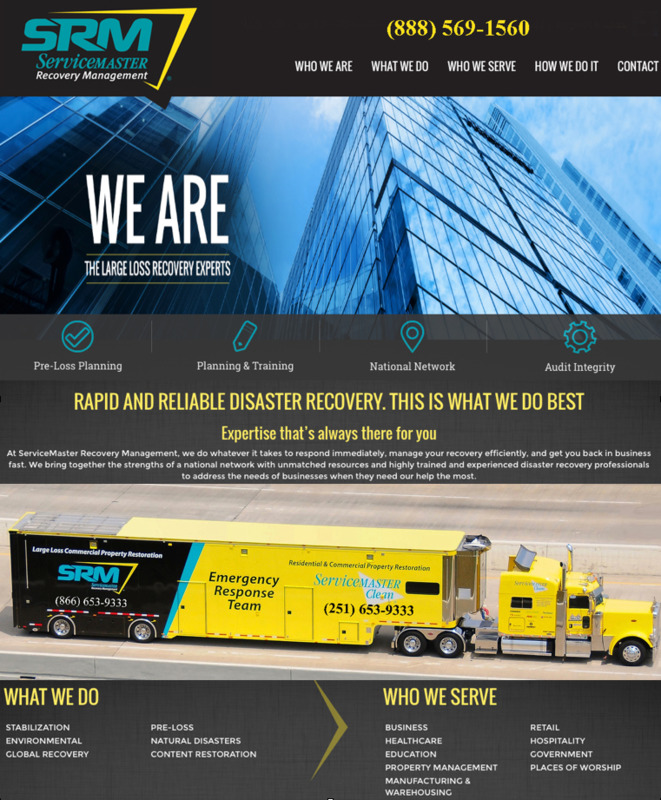 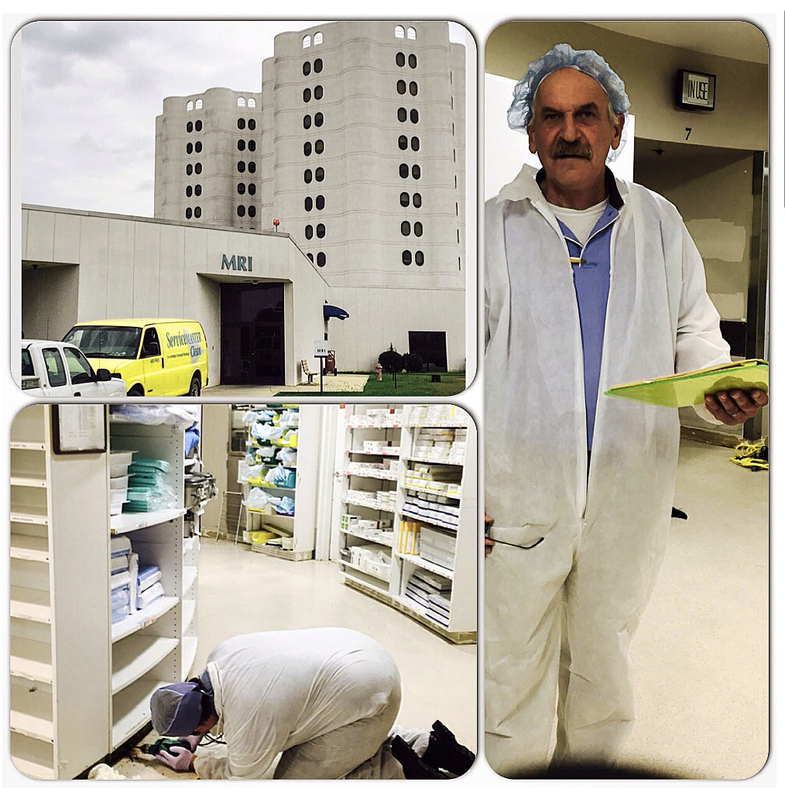 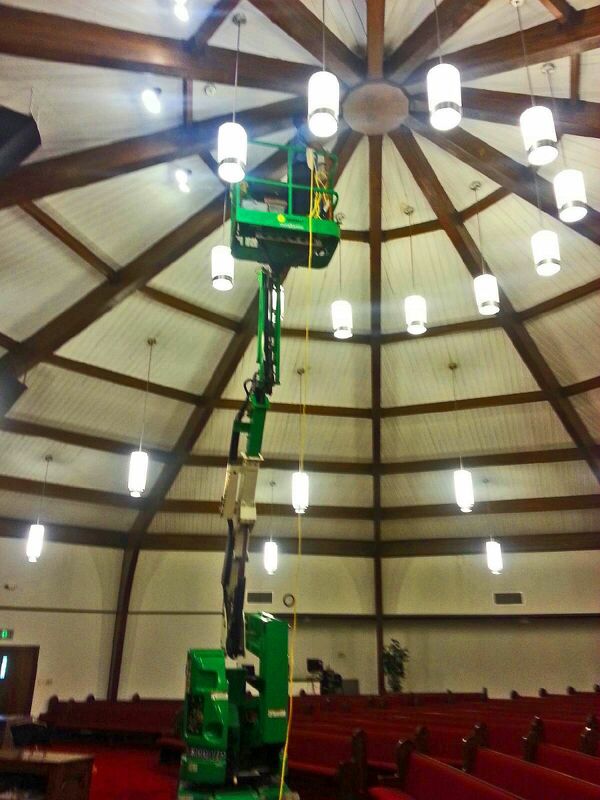 The pictures below should give the reader a very good idea as to our extensive capabilities. 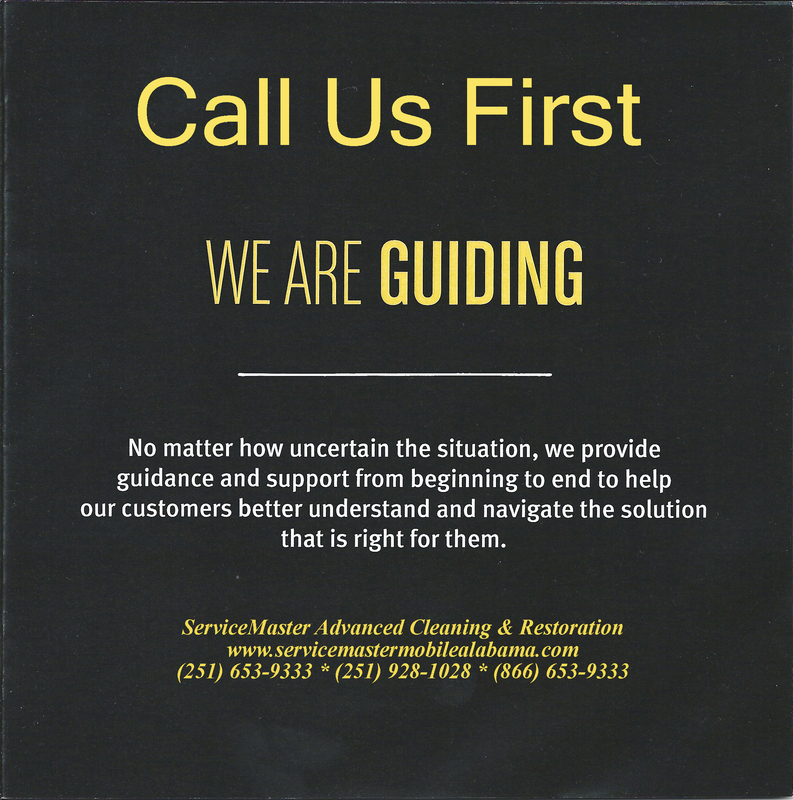 The insurance companies trust us and we hope you will too. 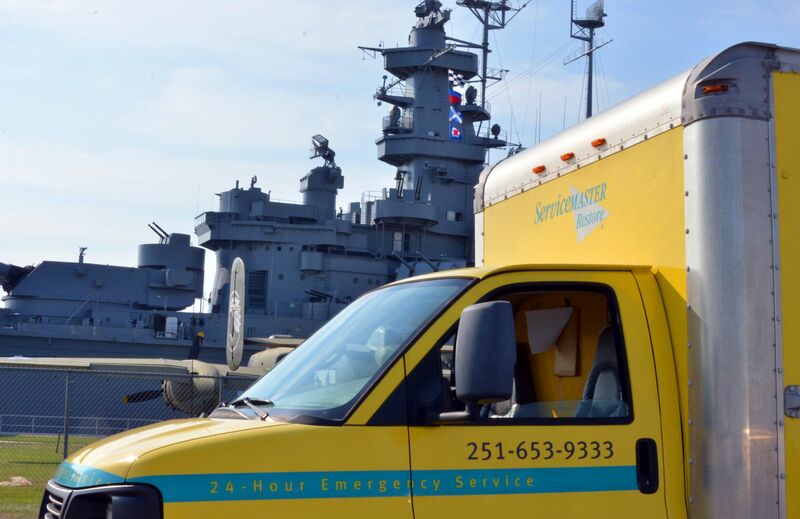 At one time or another, over nearly 30 years, we have worked with virtually every insurance company that has ever written a policy here. 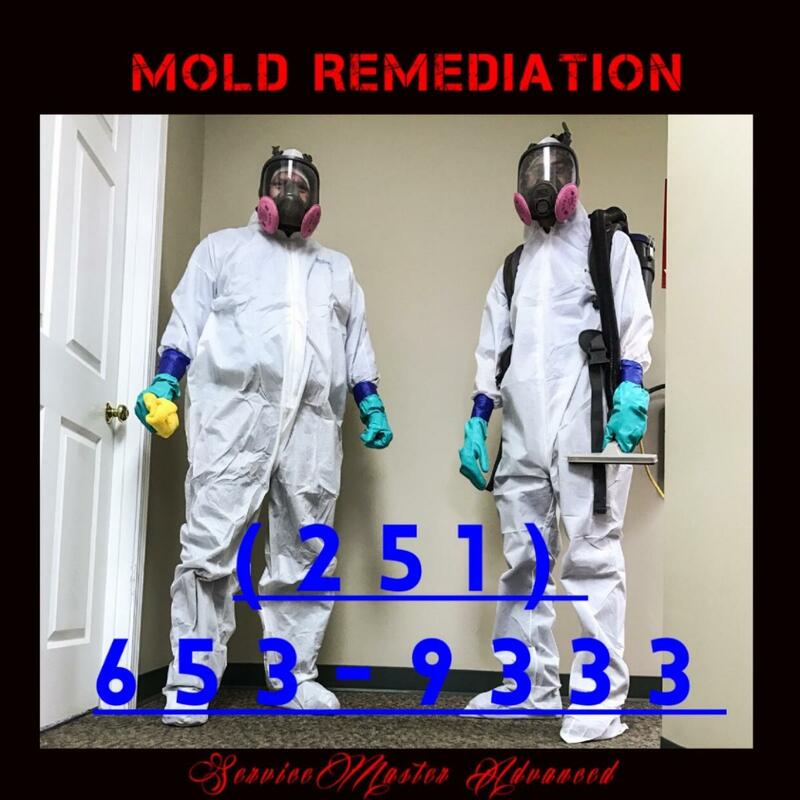 In fact, many of them recommend us because we have been pre-qualified to work for them, meaning we are on their mitigation "program". 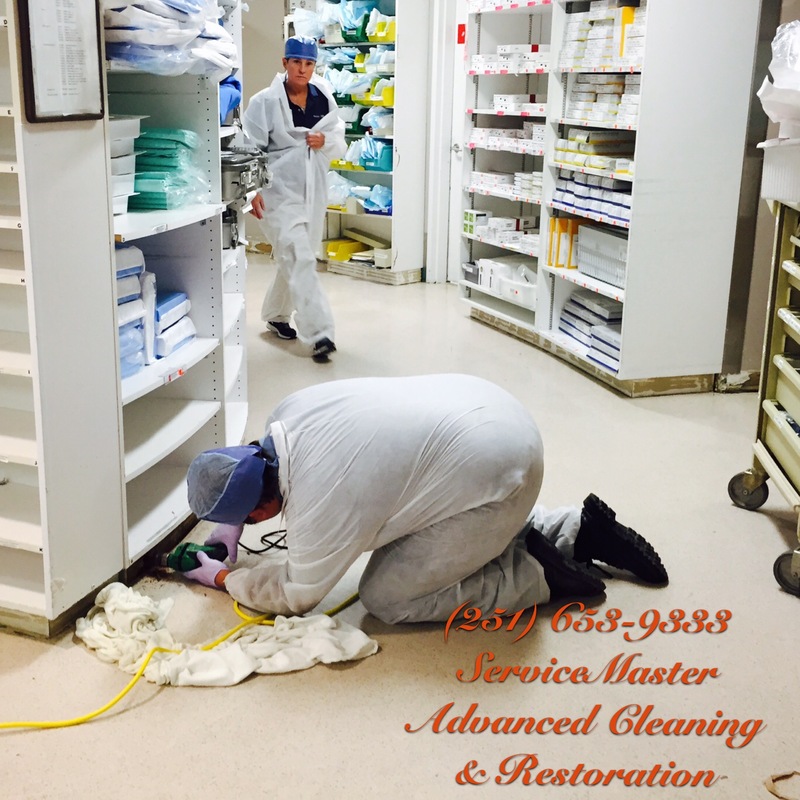 This means that we have met their standards with regard to insurance, training, procedures etc. 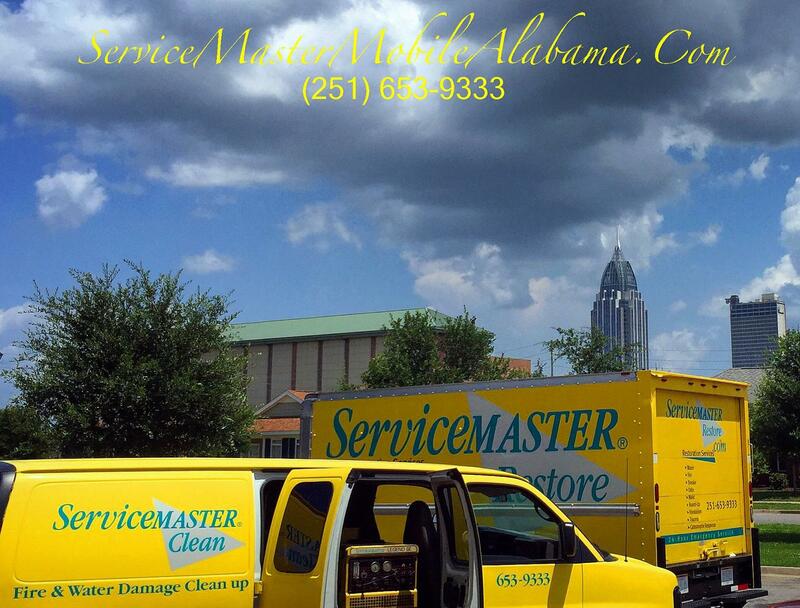 and that they are comfortable dispatching a claim to us, if the business owner or the homeowner agrees. 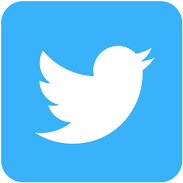 This is the important stipulation. 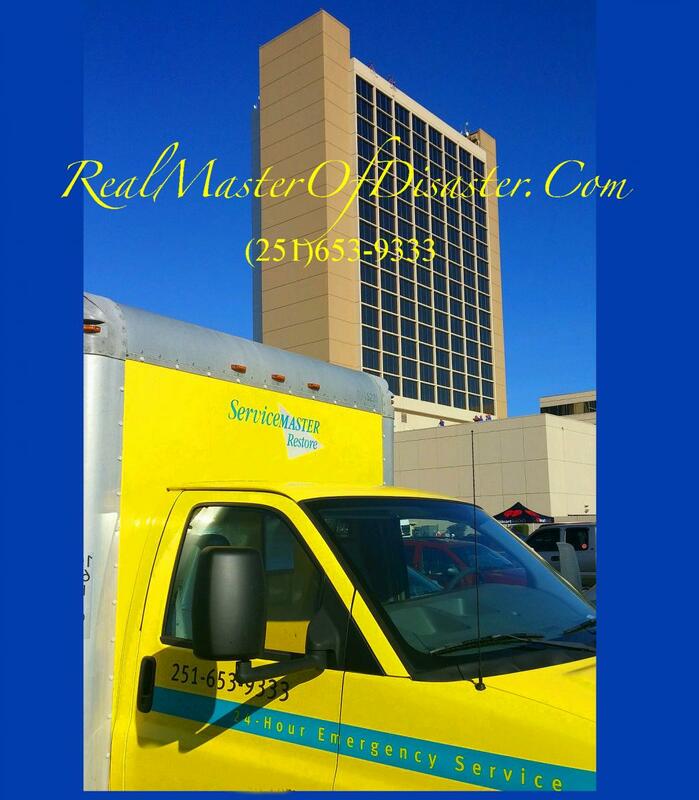 The owner must agree and contract directly with us. 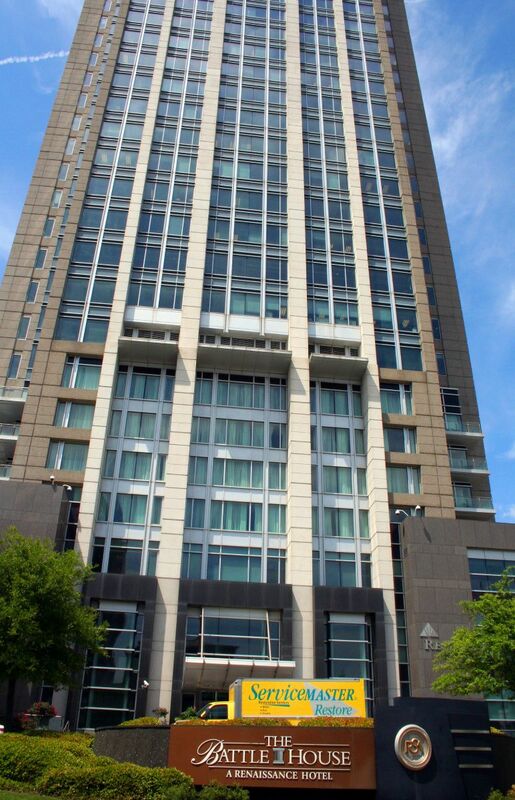 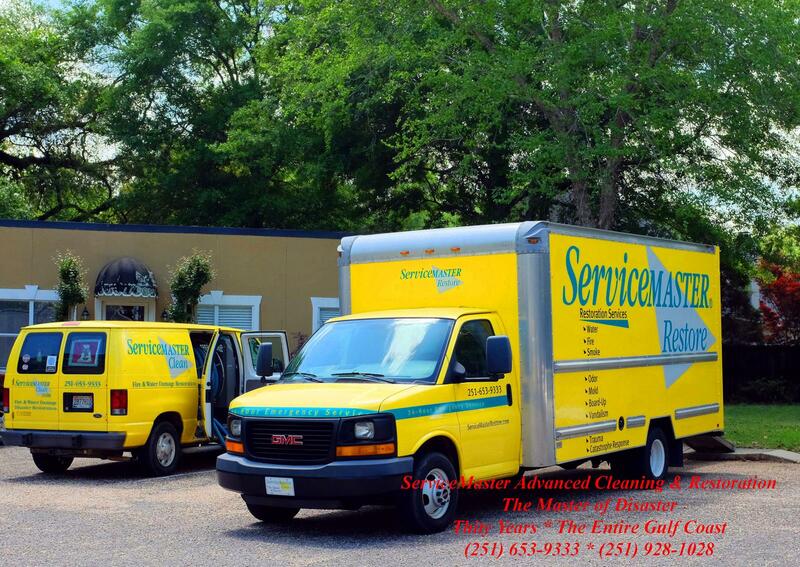 ServiceMaster Advanced is one of a small handful of companies locally that are approved as such. 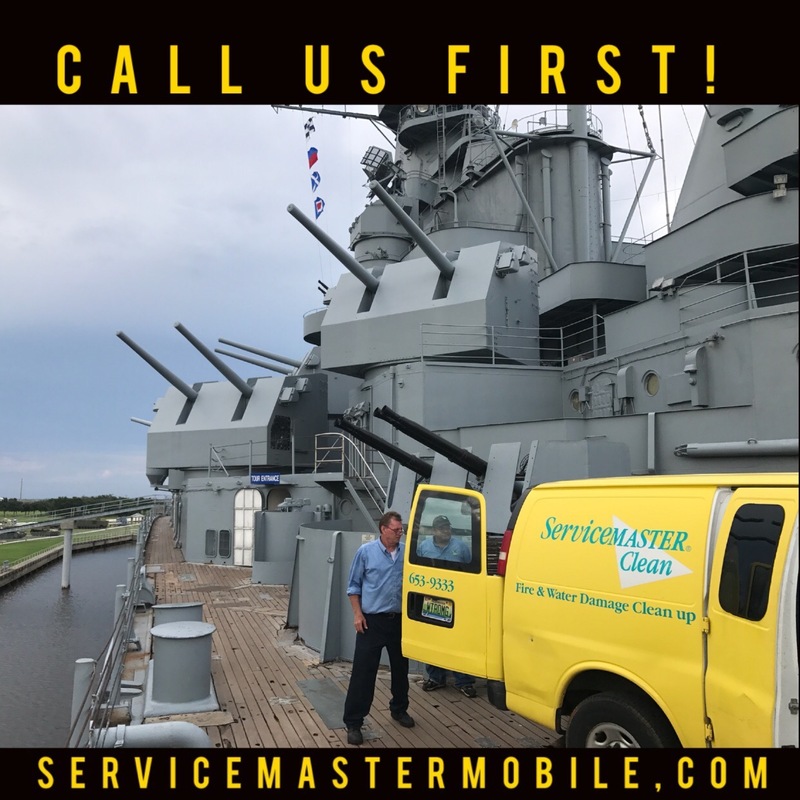 We appreciate the business that the insurance programs send to us; however out of the few that are approved as such, we want to stand alone as the best. 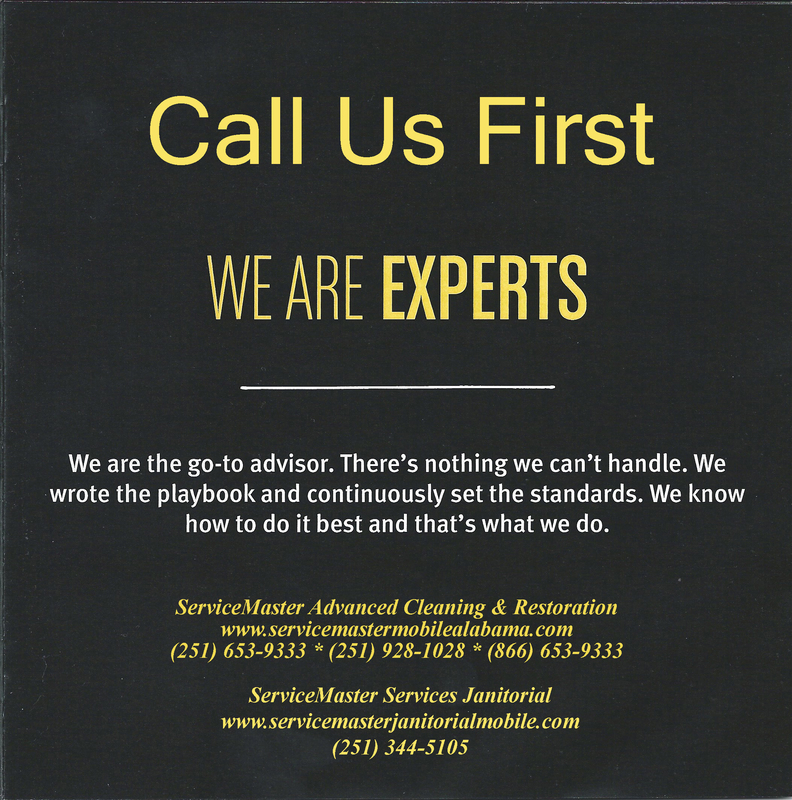 We want to earn your business and be deserving of your trust, not only because the insurance company recommended us, but because our reputation and policies are such that you would have hired us anyway. 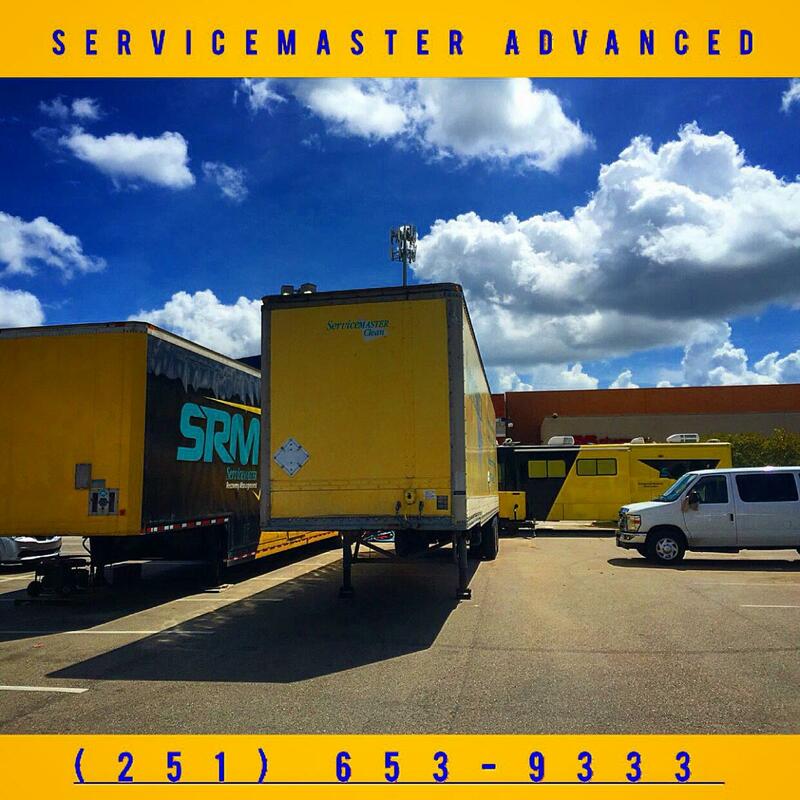 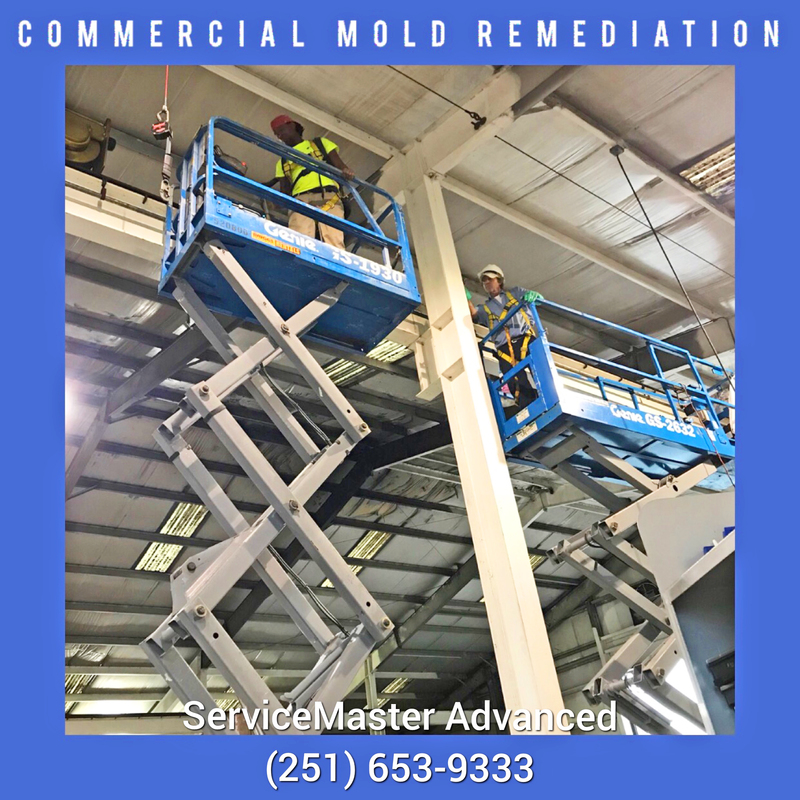 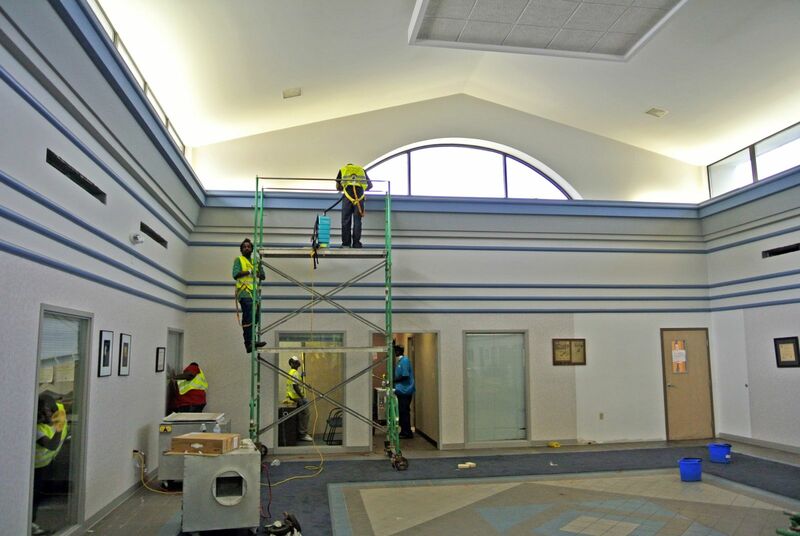 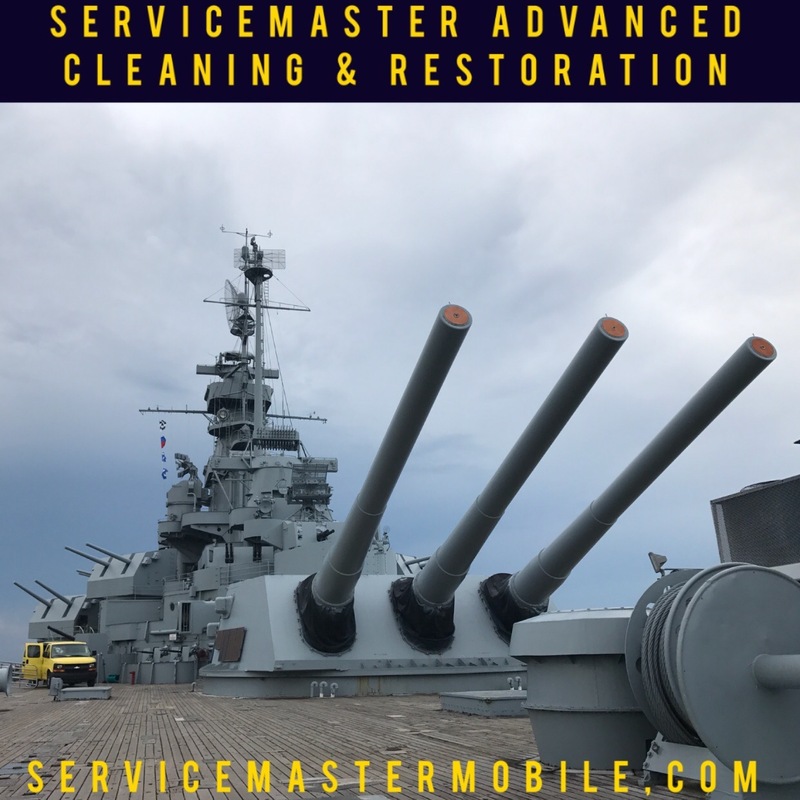 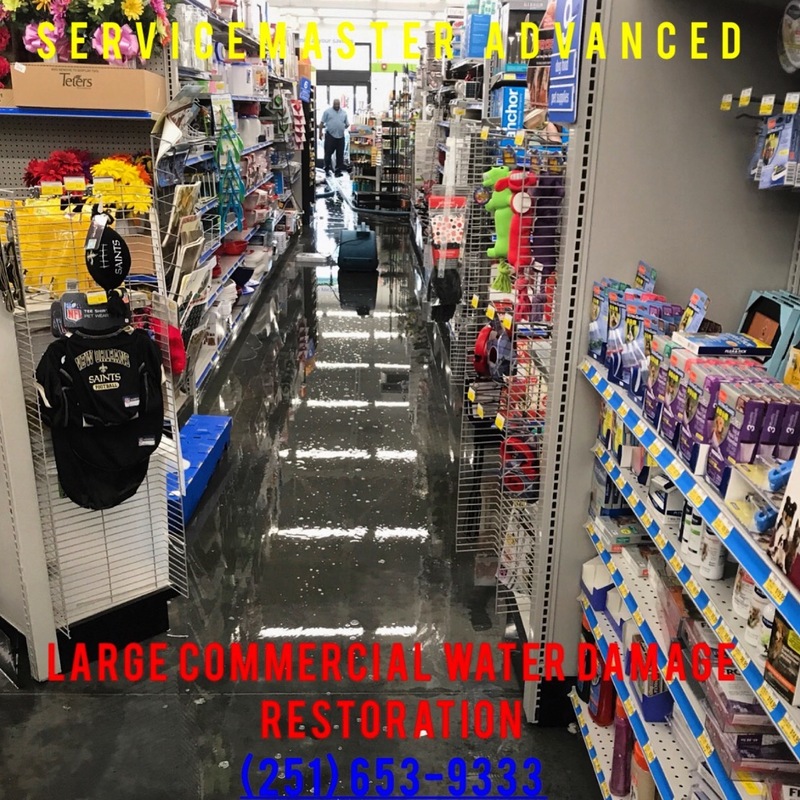 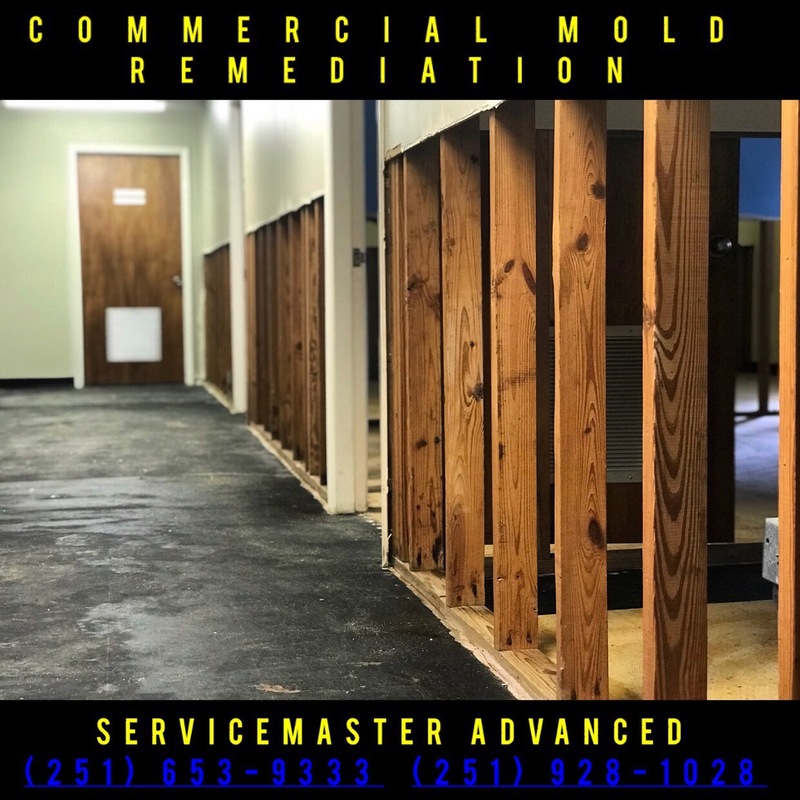 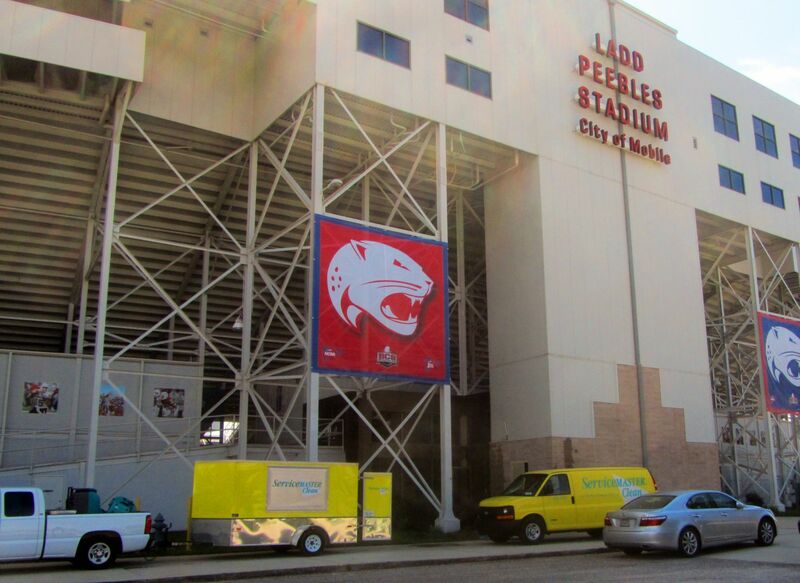 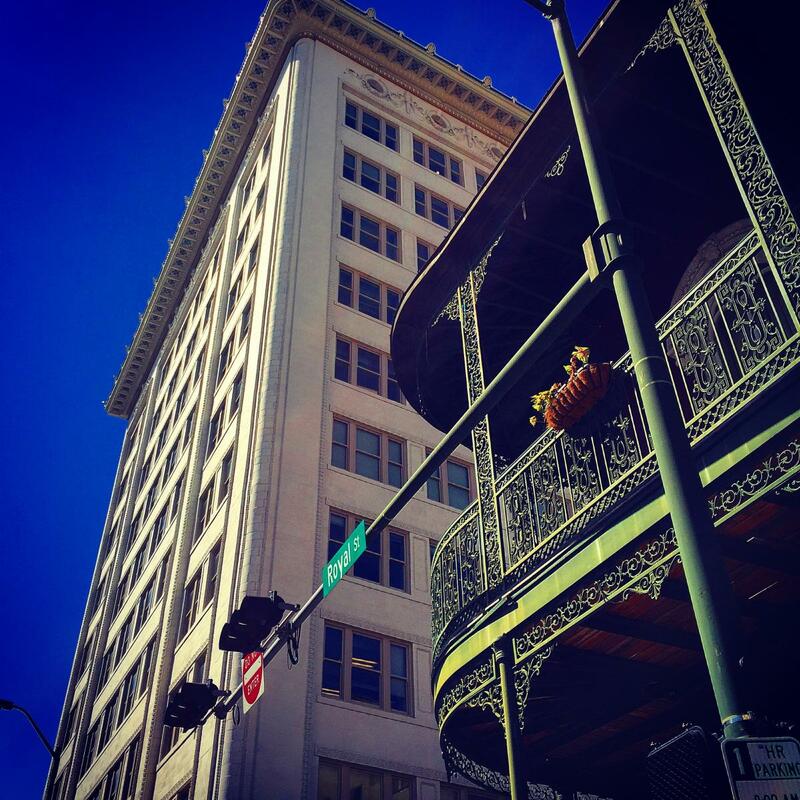 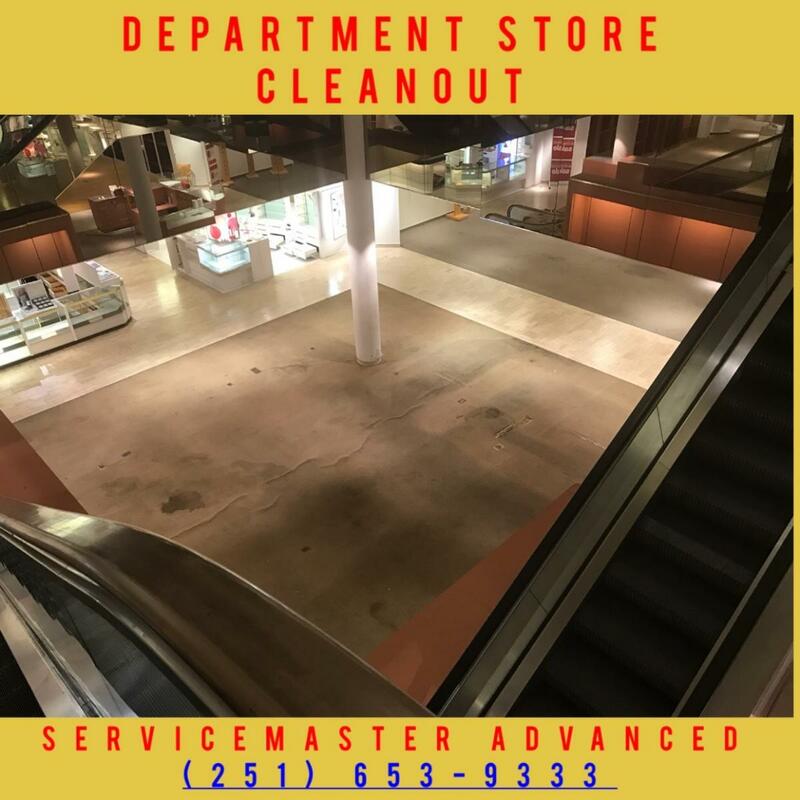 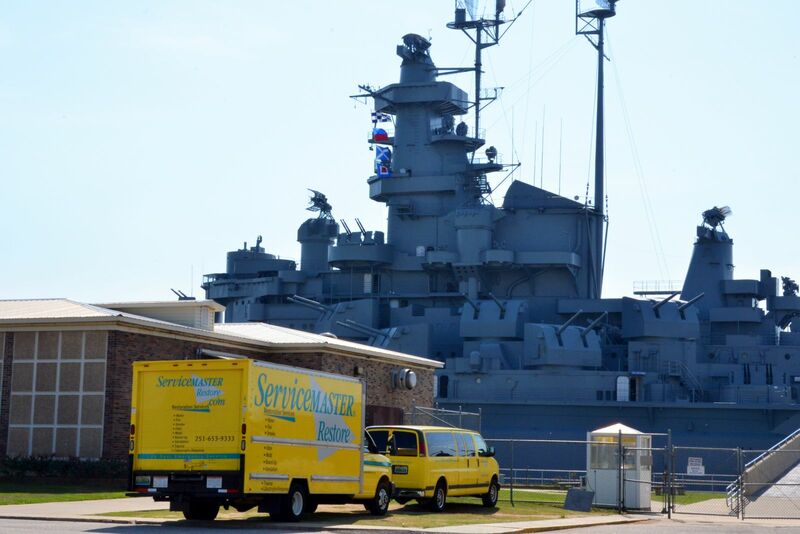 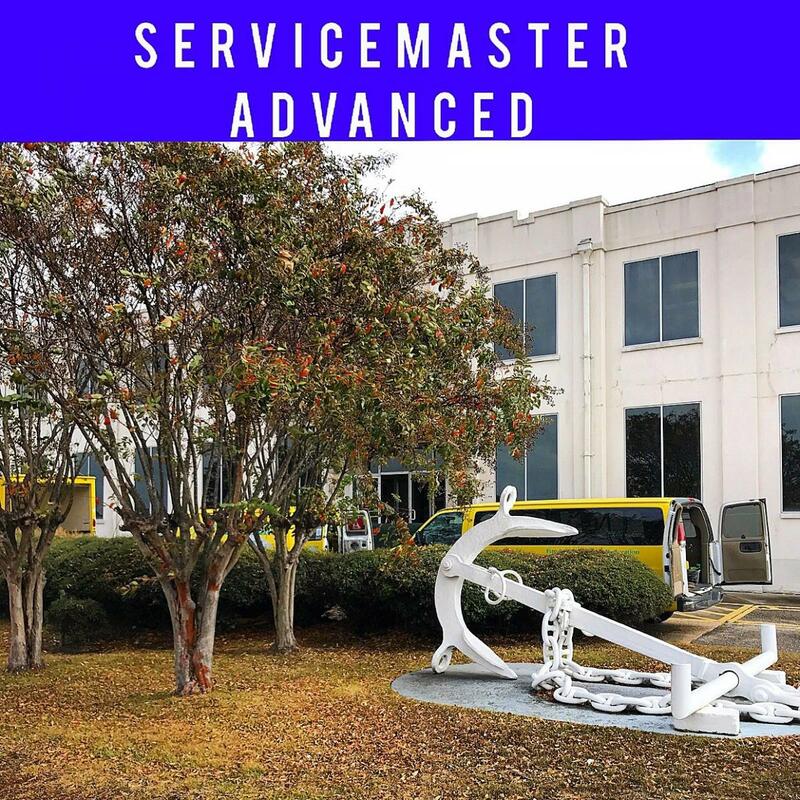 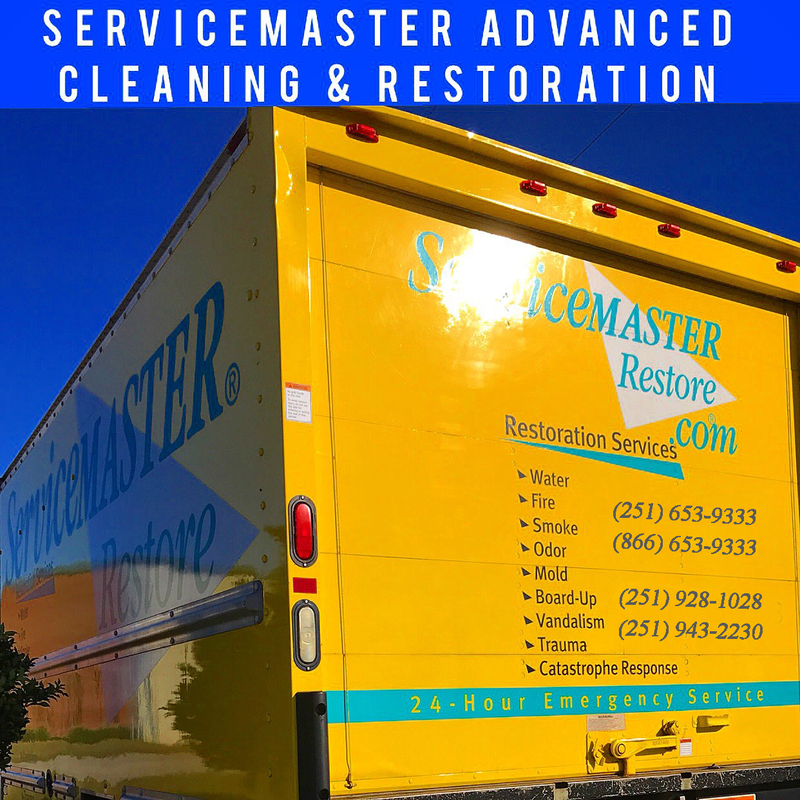 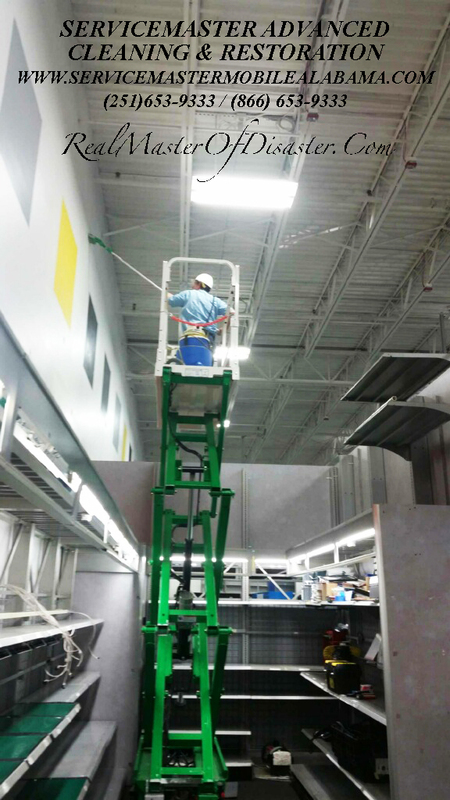 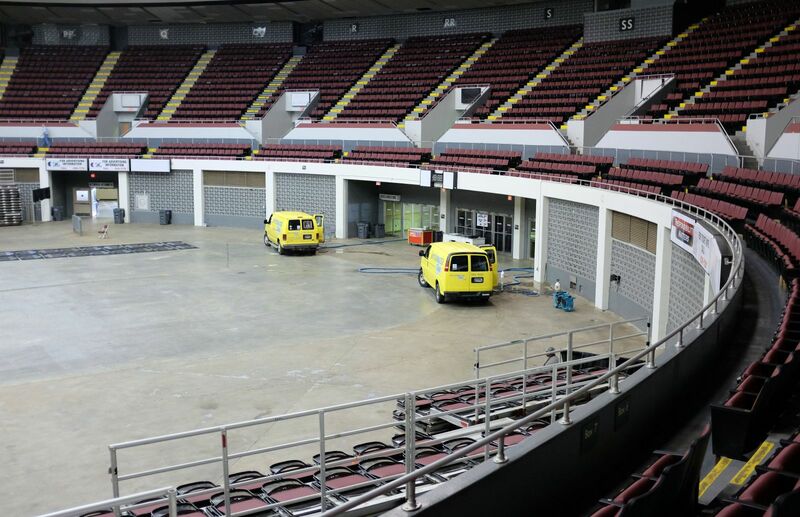 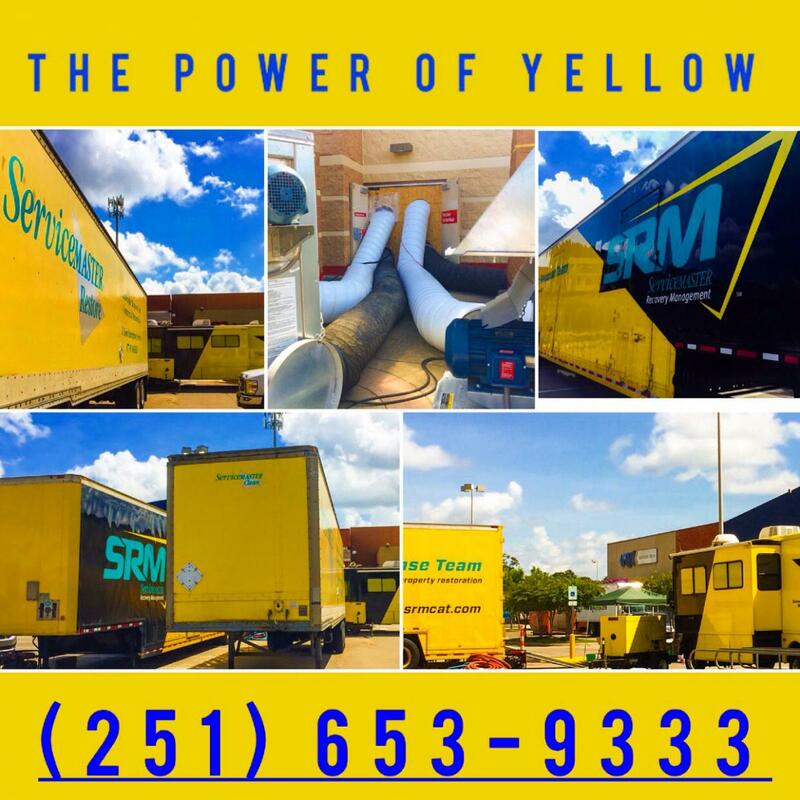 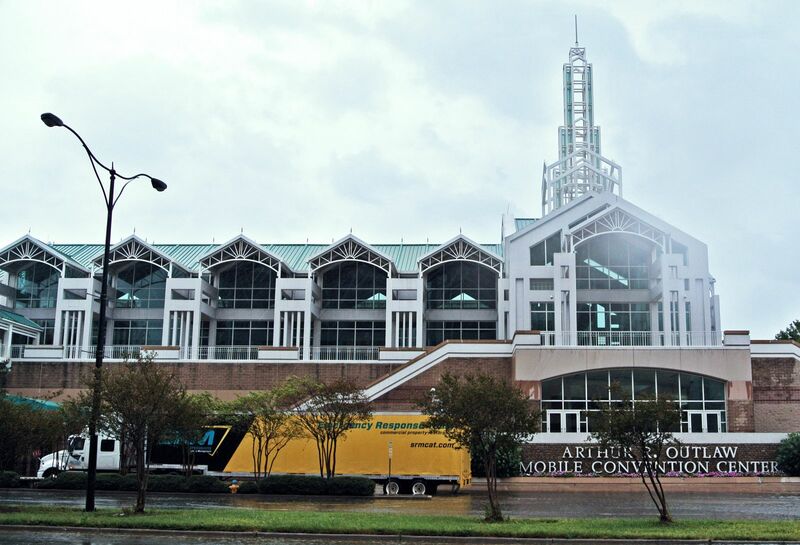 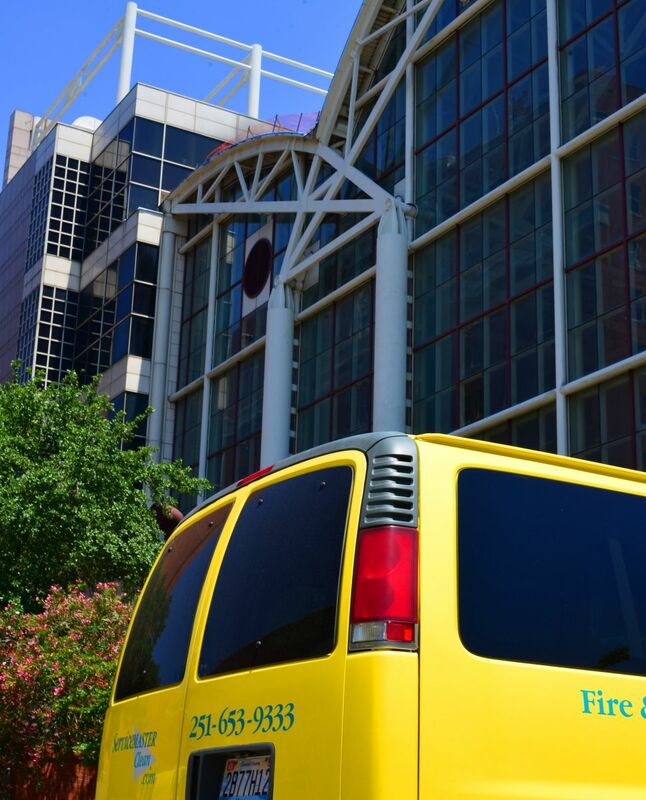 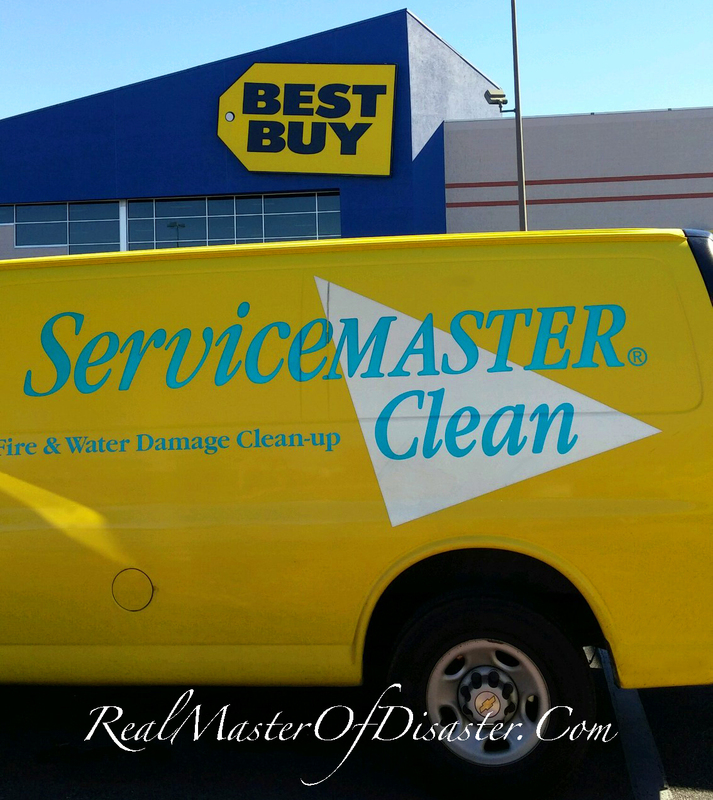 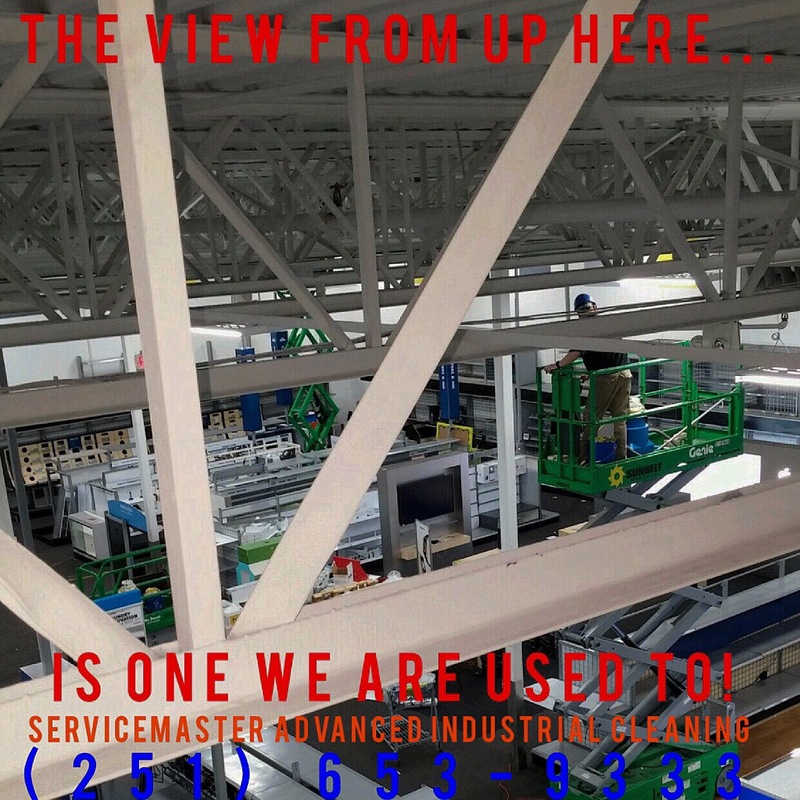 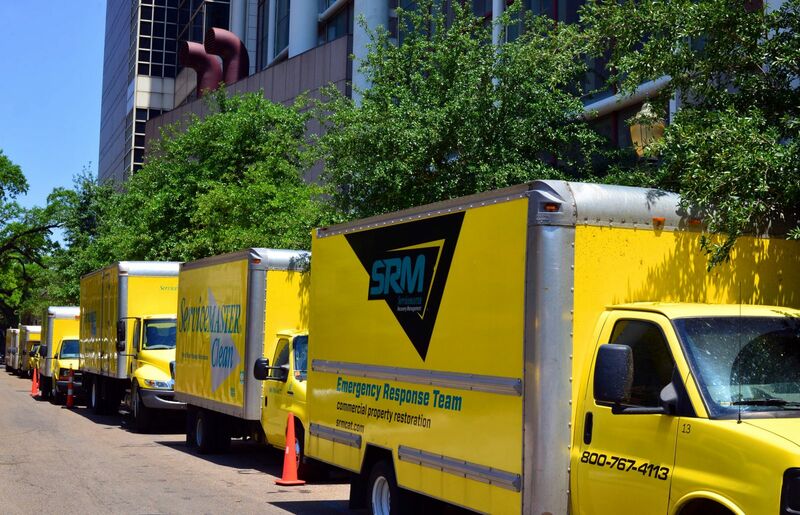 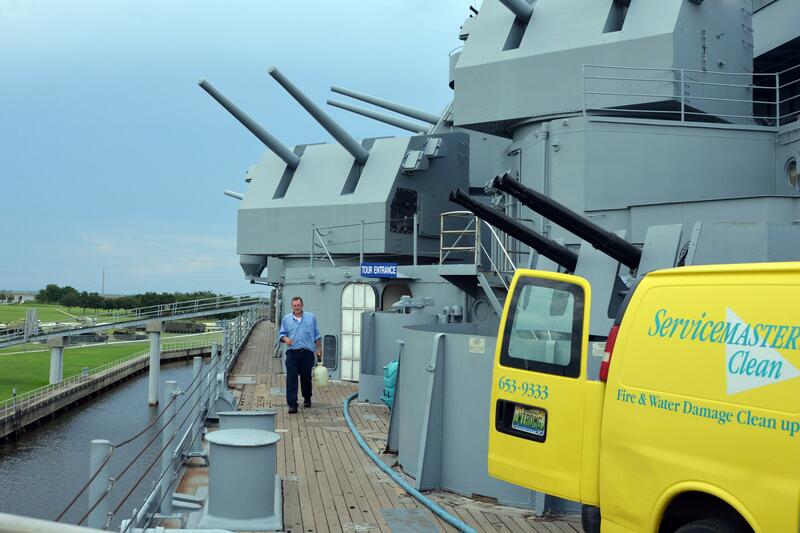 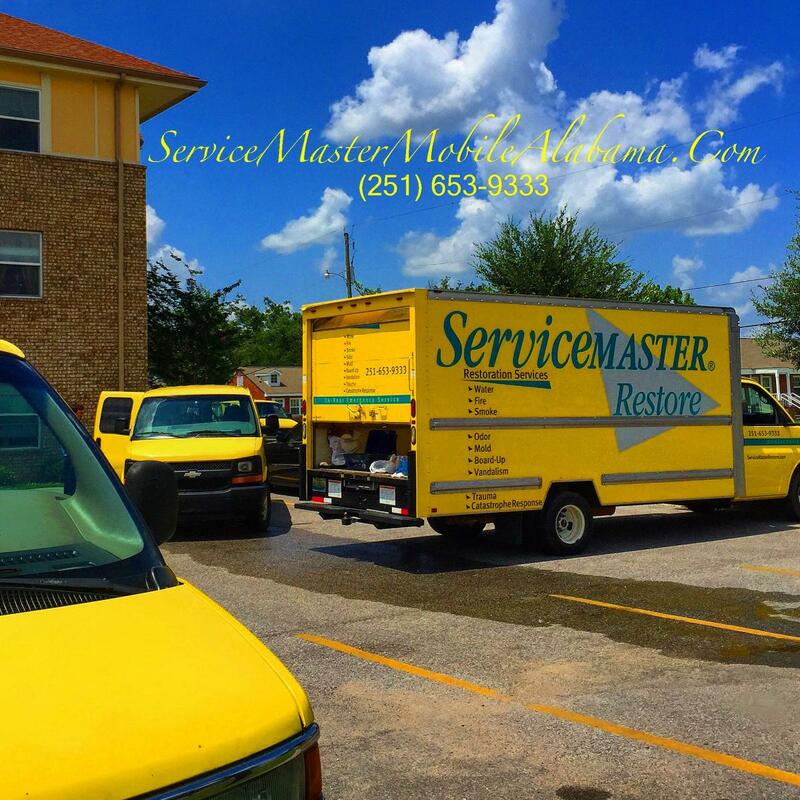 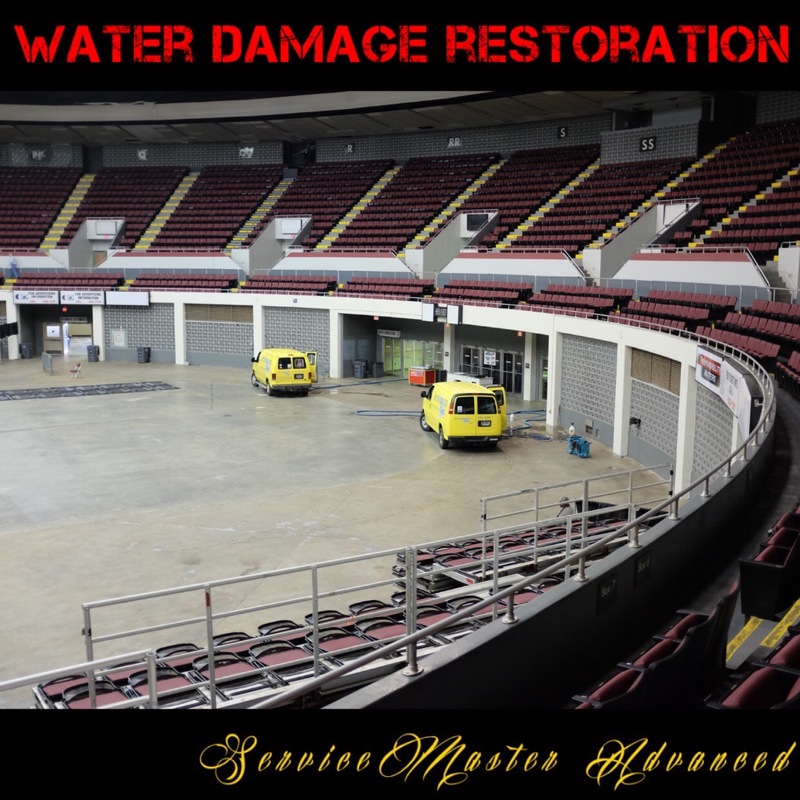 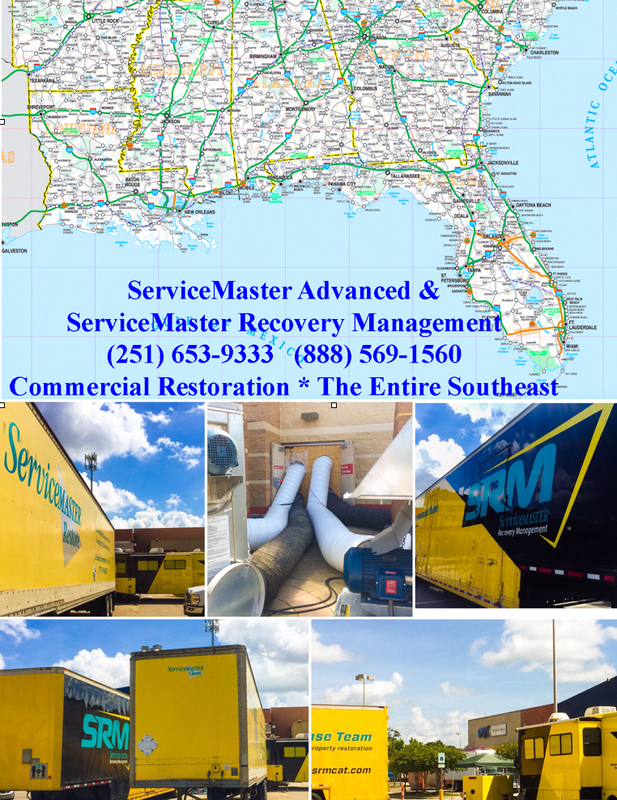 Over the years, no one on the central Gulf Coast has handled more large commercial water damage restoration, commercial fire restoration, mold remediation and cleanup jobs, than the combined forces of ServiceMaster Advanced Cleaning and Restoration and ServiceMaster Services. 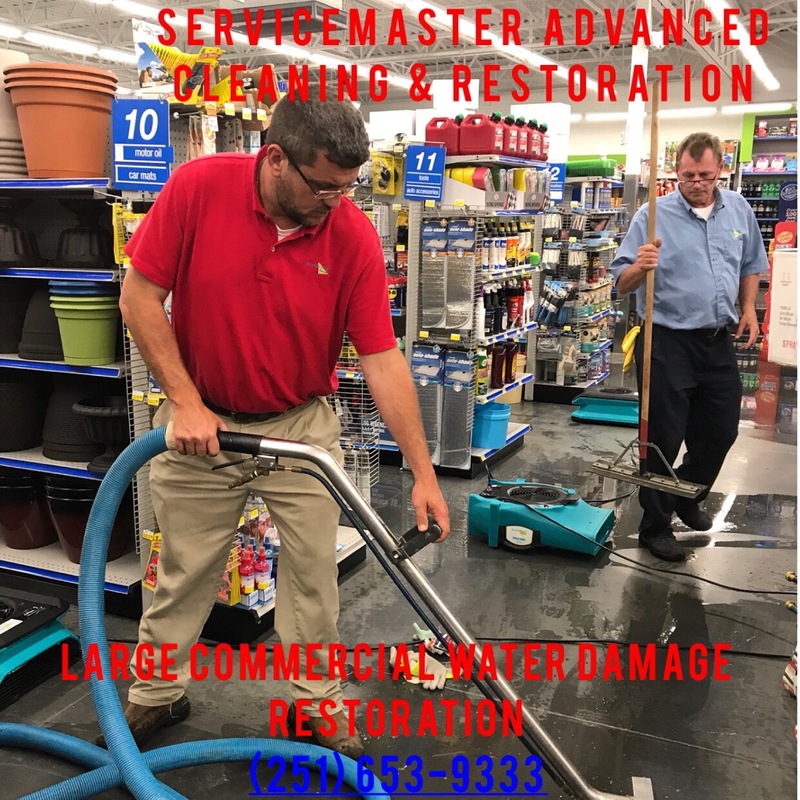 Below are more actual pictures of large loss industrial and commercial water damage restoration and commercial fire restoration jobs actually performed by ServiceMaster Advanced Cleaning & Restoration performed with and without the ServiceMaster Recovery Management (SRM) Network. 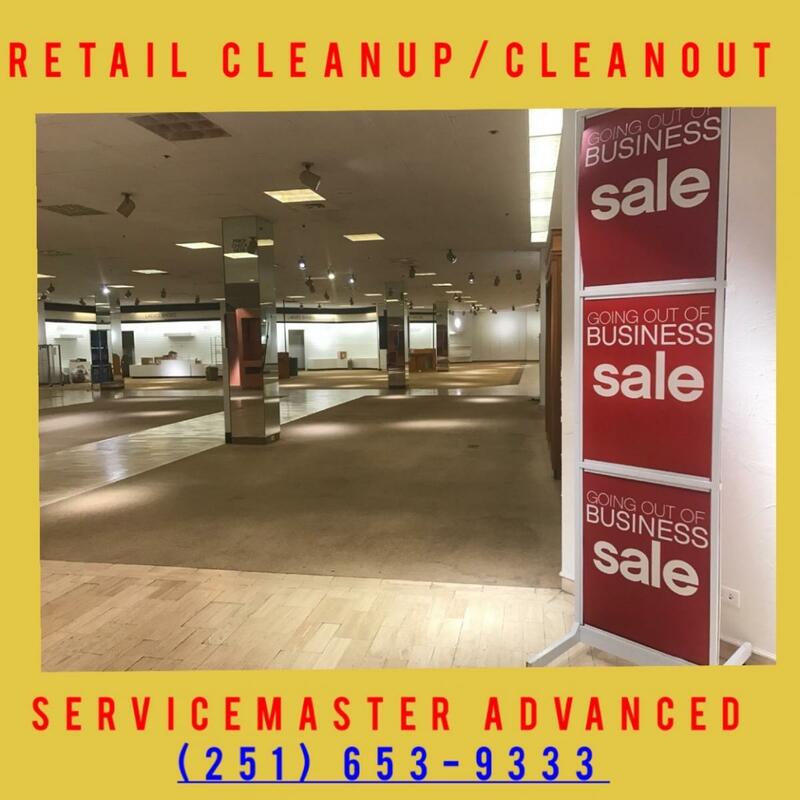 Unlike many other small or regional players, we have actually performed this work for many years, and we know how to handle a large commercial loss from start to finish. 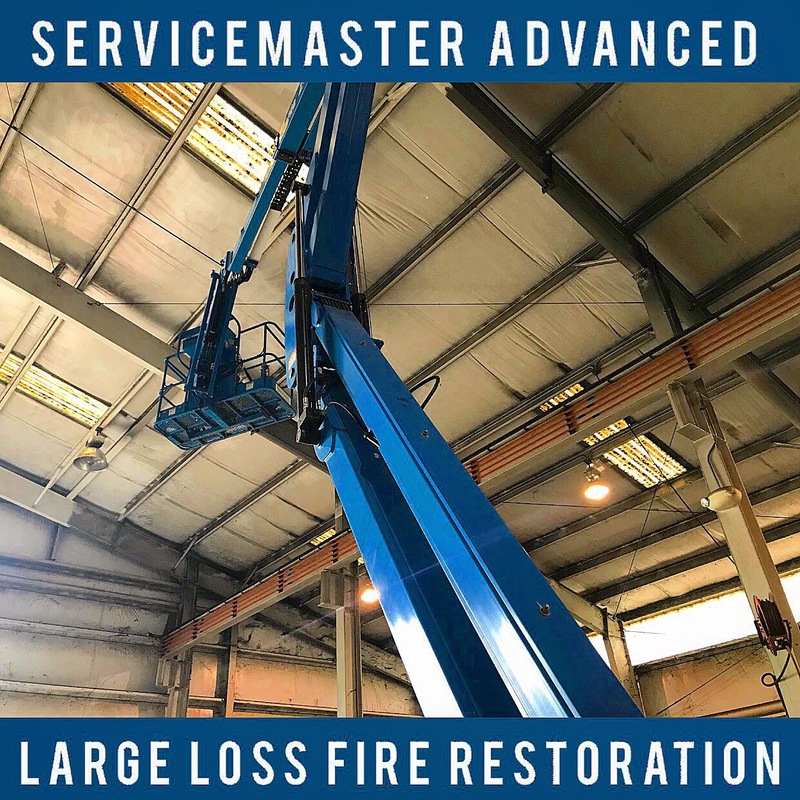 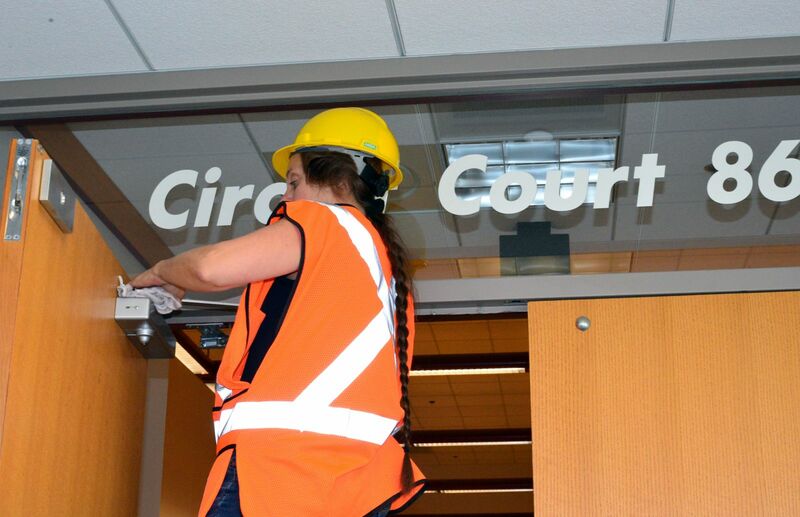 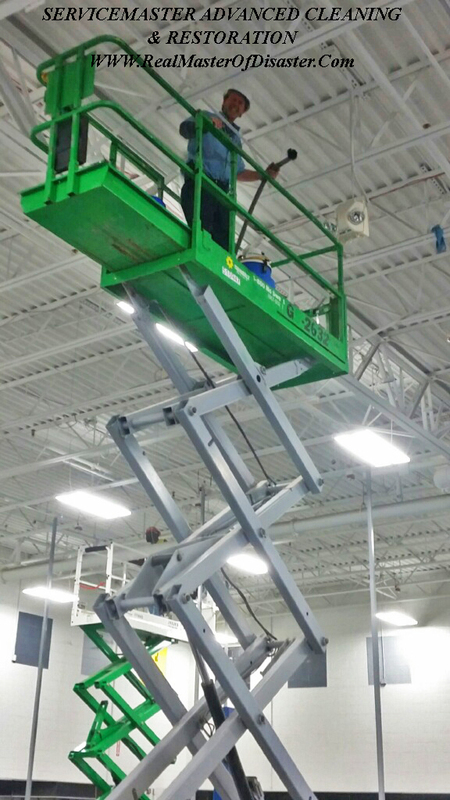 We have consistently brought projects like this in, on-time and on-budget, with our goal to minimize disruption to the affected businesses and bring them back to working status as fast as humanly possible. 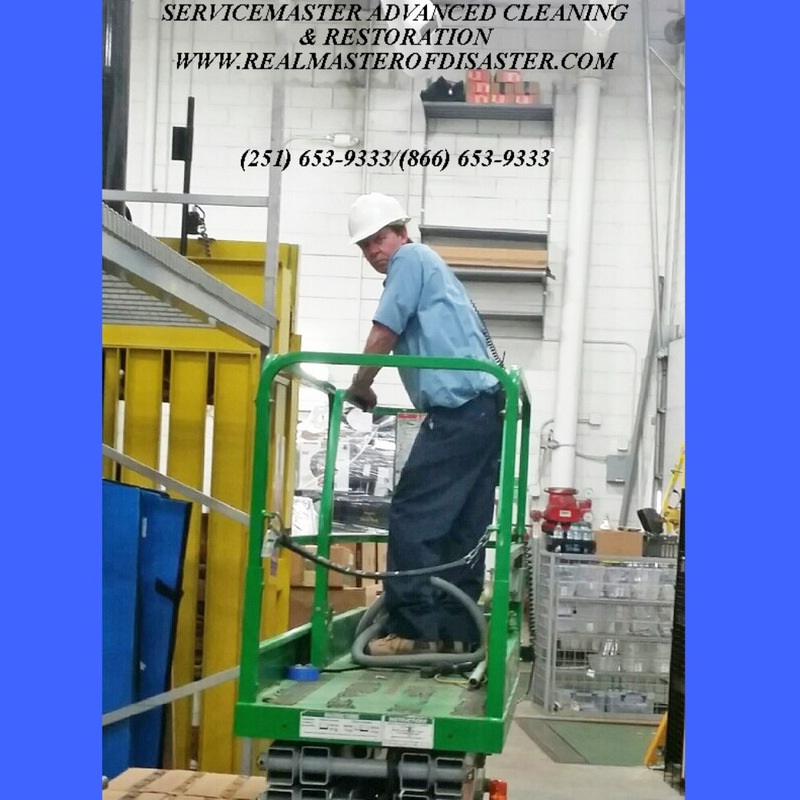 Some of these jobs, and many others, were awarded to us after a competitor was terminated because they couldn't deliver. 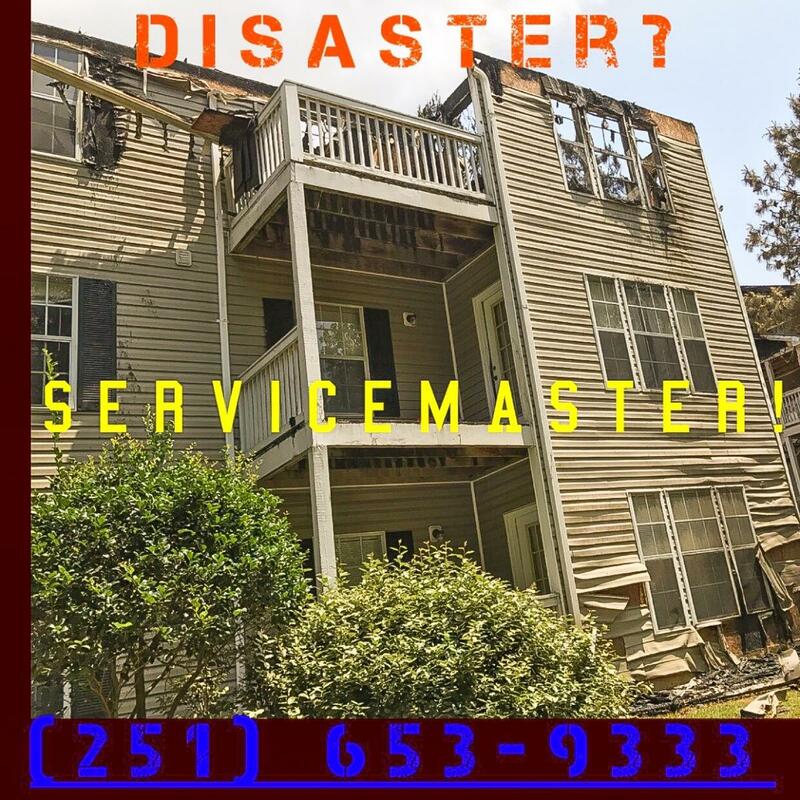 At the risk of being repetitive: If you need help with restoration and cannot get in touch with your insurance company or their adjuster, go ahead and call us first. 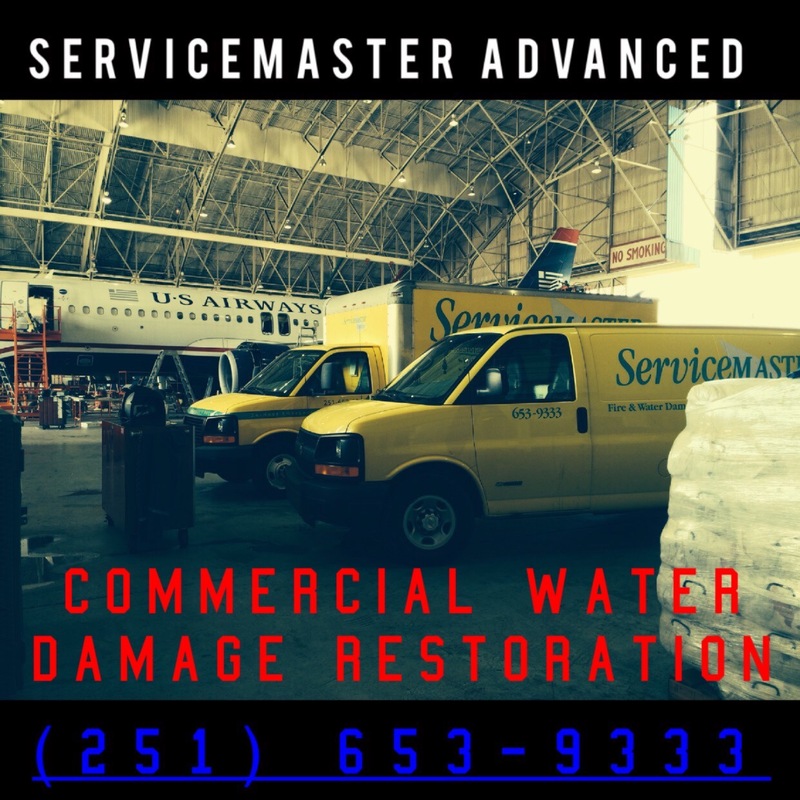 We can give you an on-the-spot assessment of your situation, and then take steps to stabilize your building and minimize continuing damage until a total restoration plan can be devised. 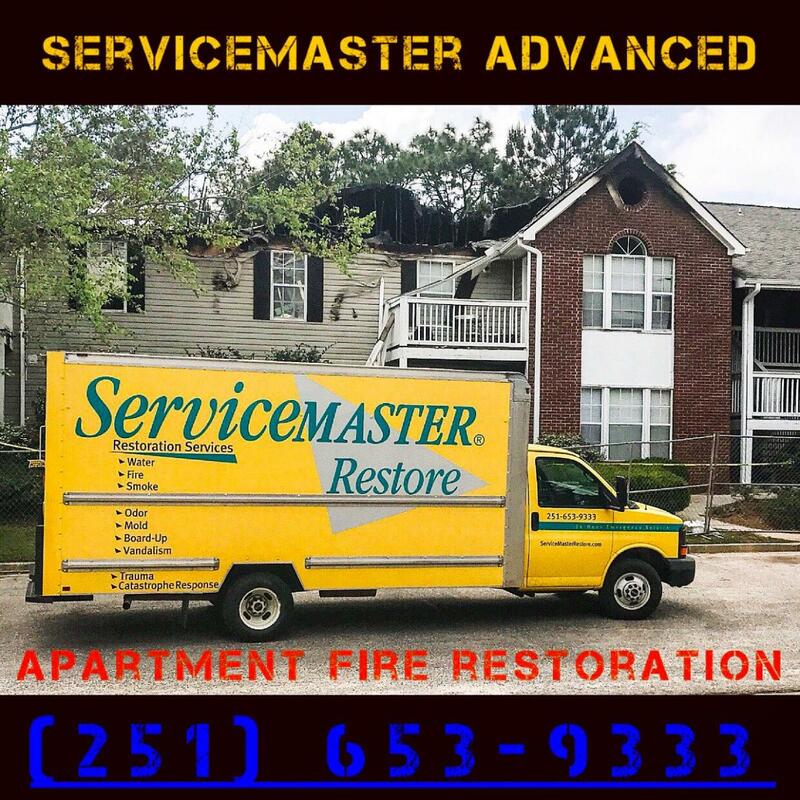 It is very important to begin the process of minimal mitigation in order that some structure and contents can be saved; as opposed to waiting several days for an adjuster, and possibly facing a greater loss of property and contents.